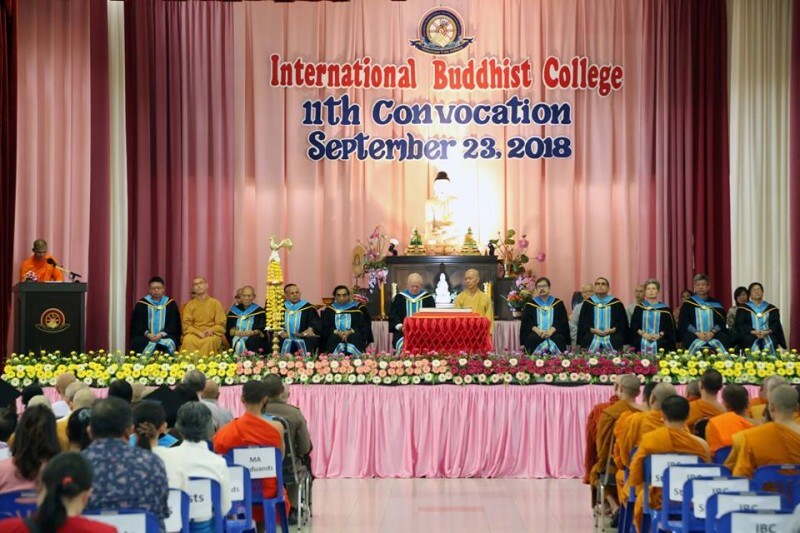 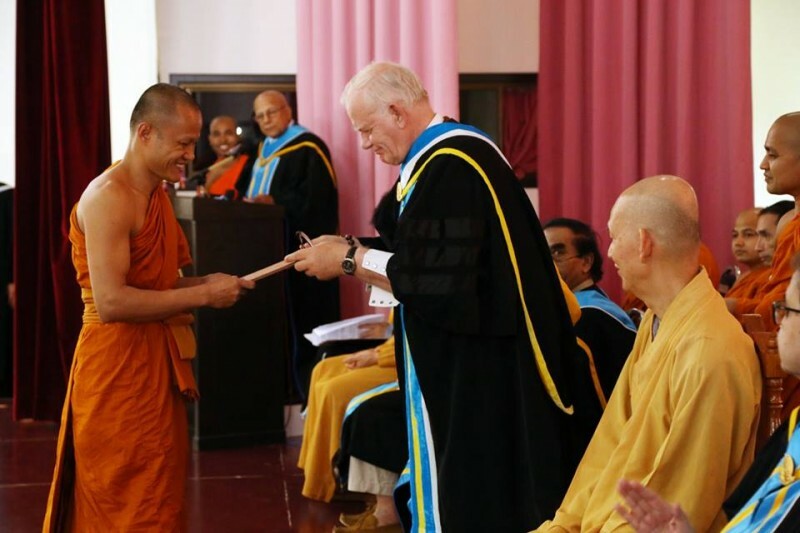 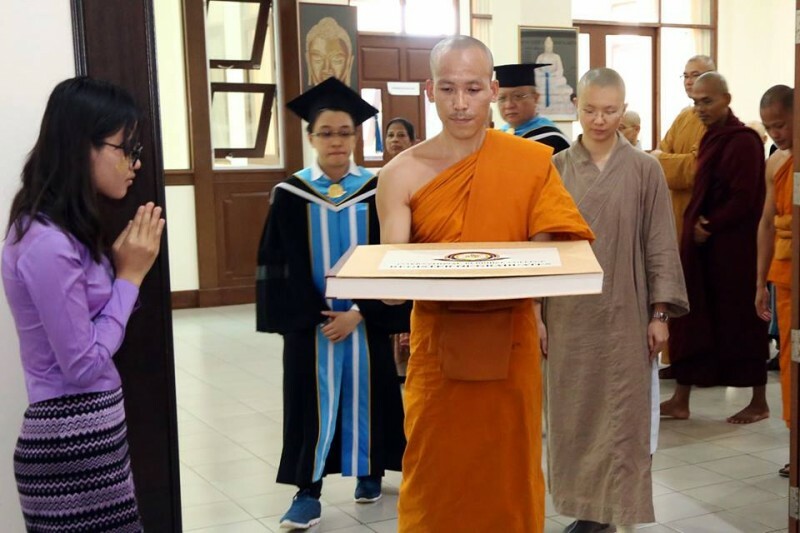 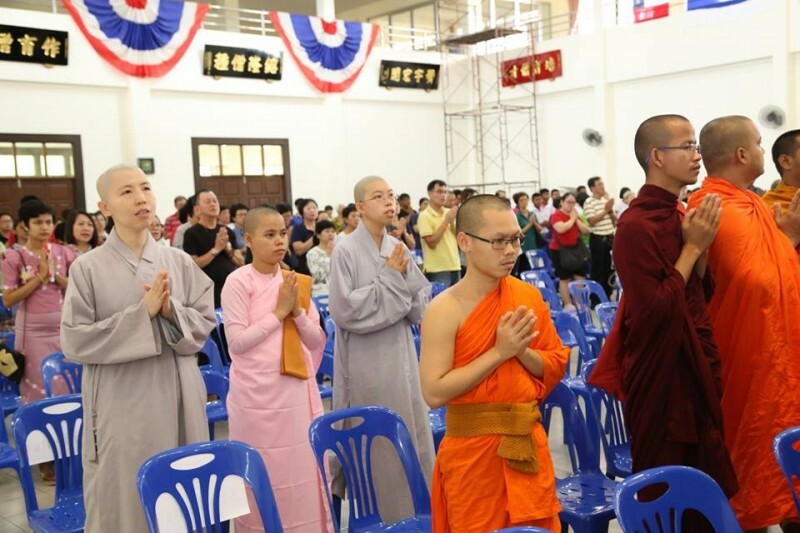 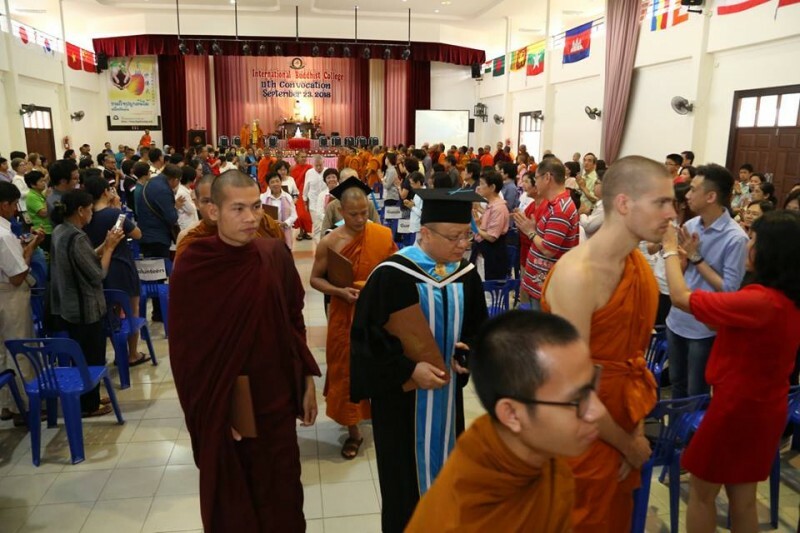 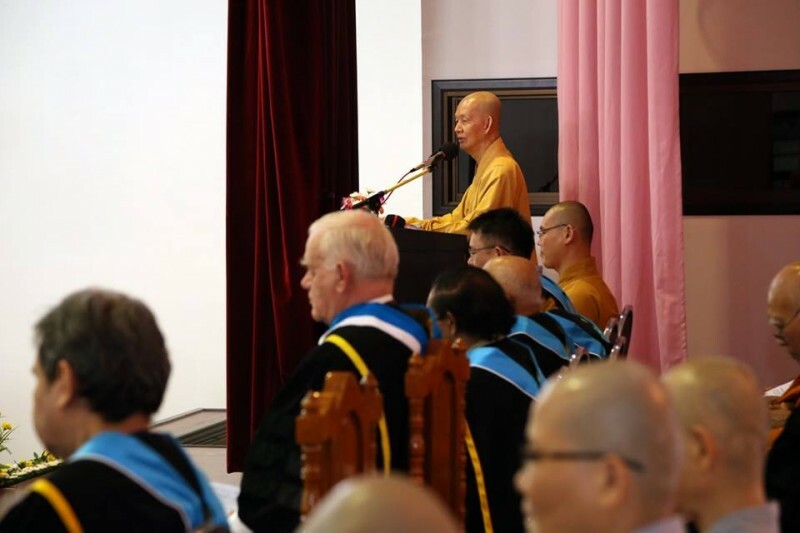 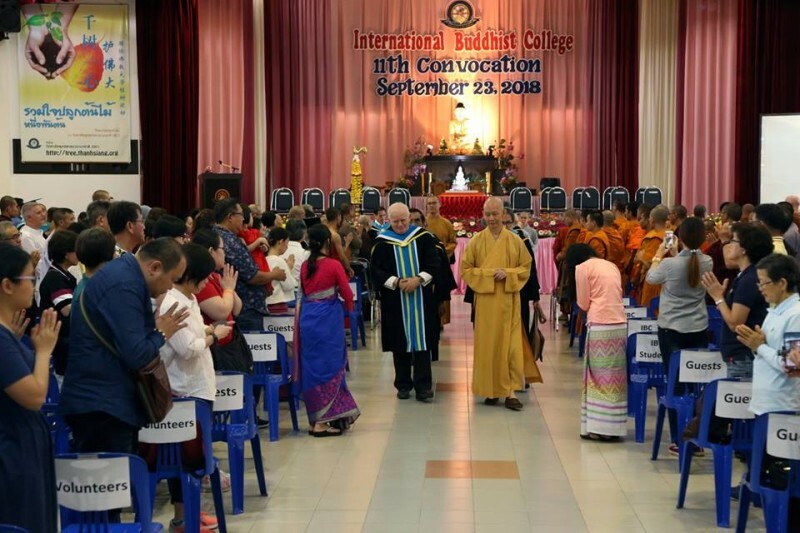 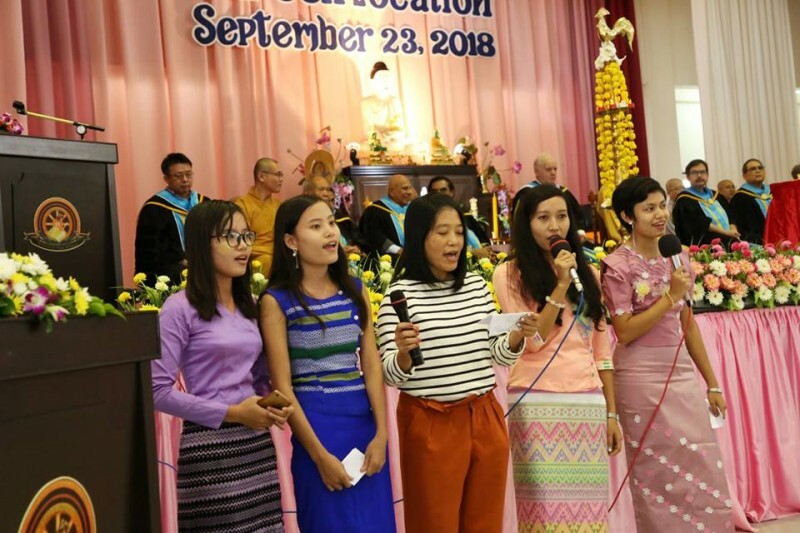 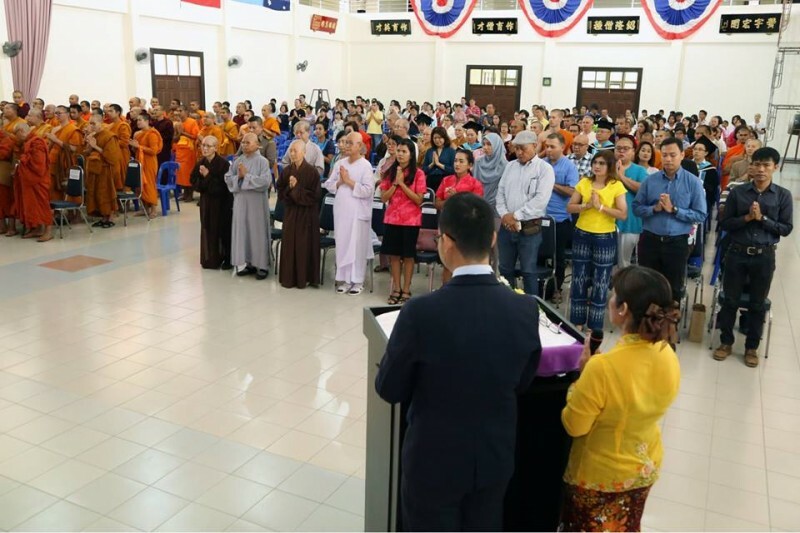 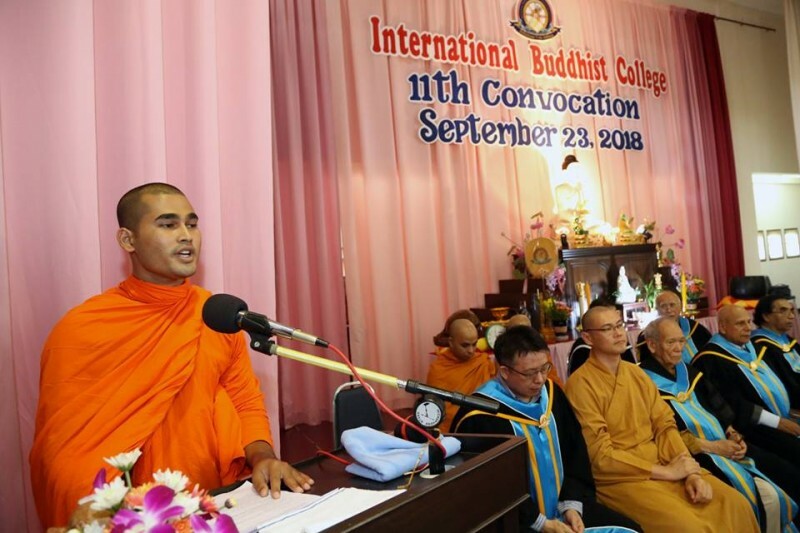 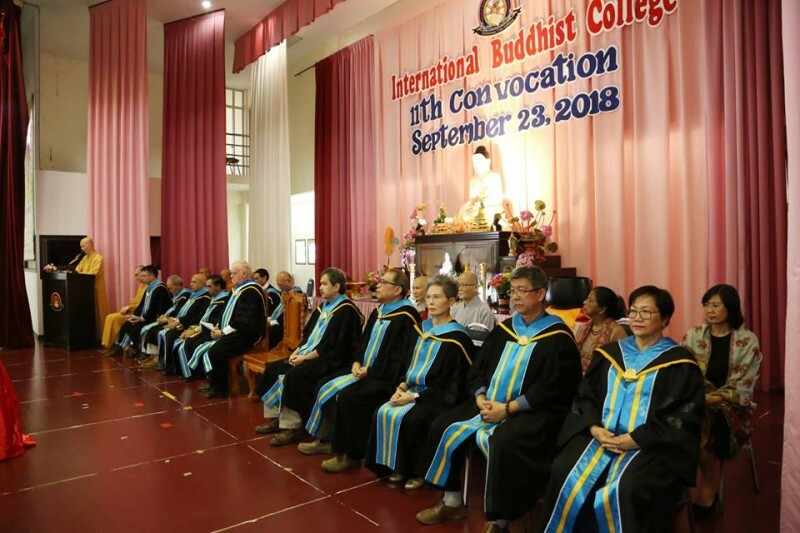 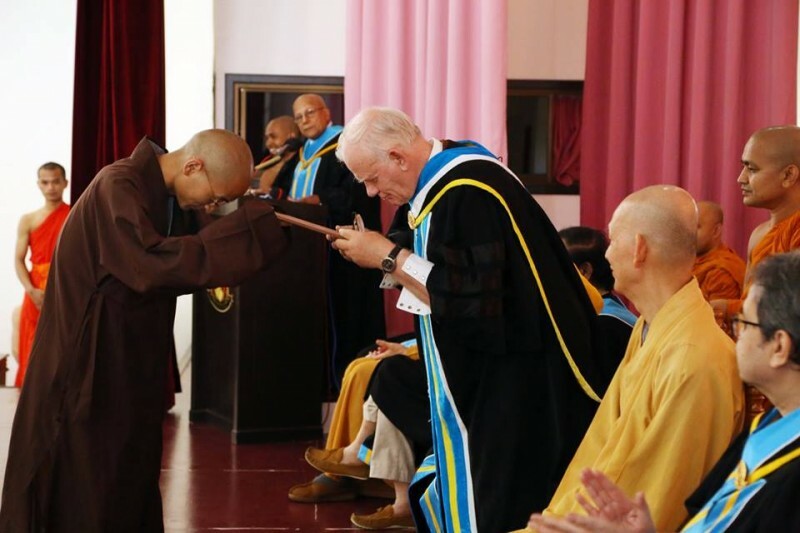 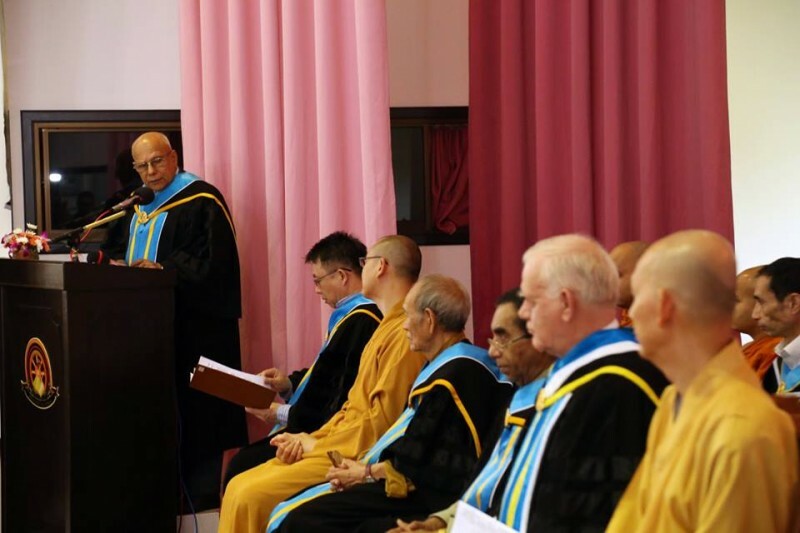 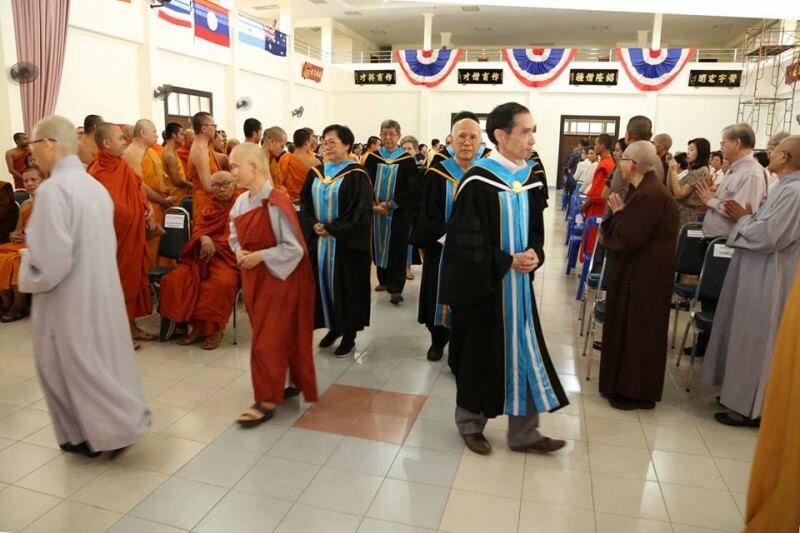 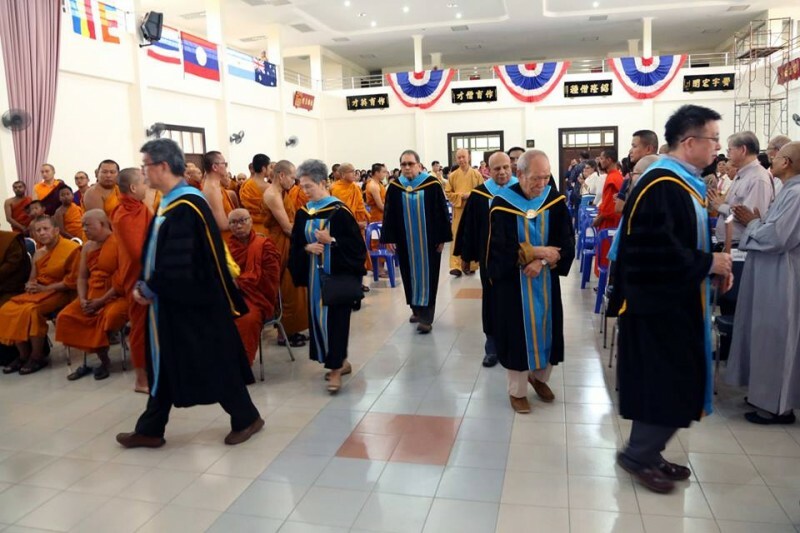 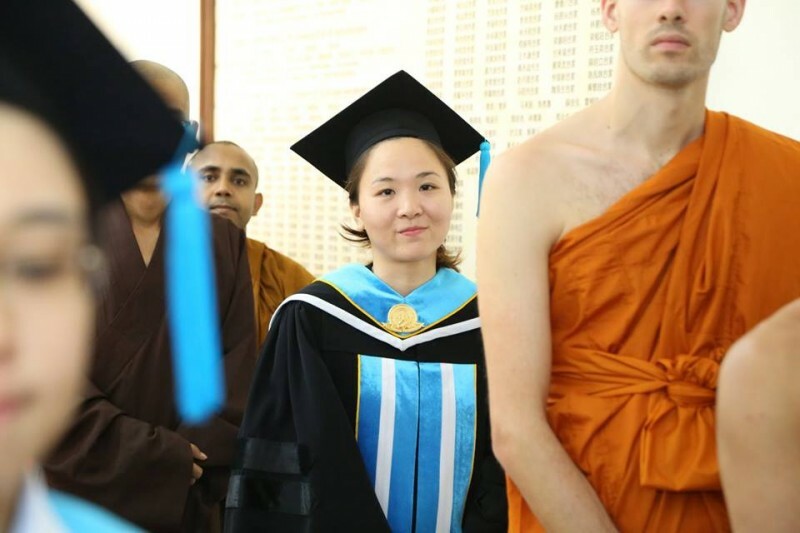 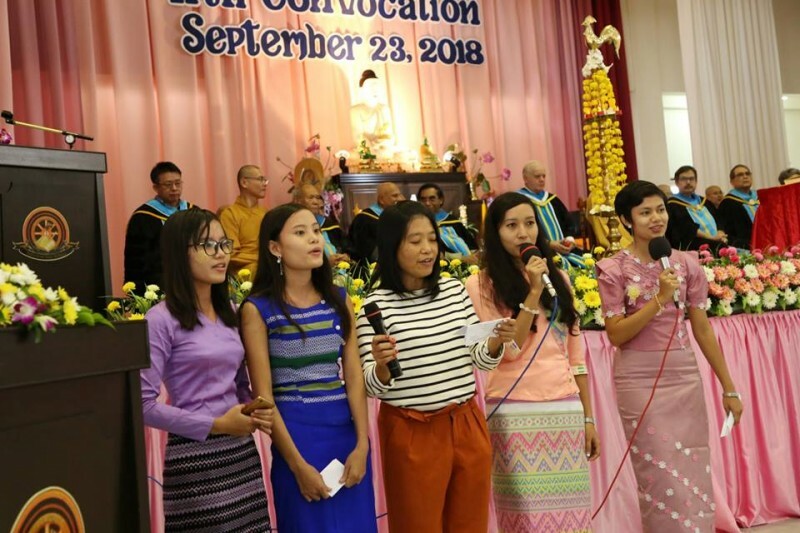 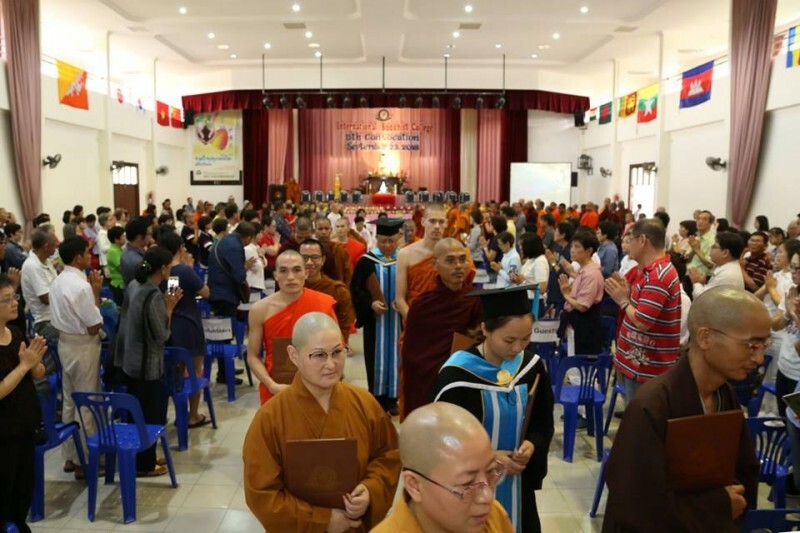 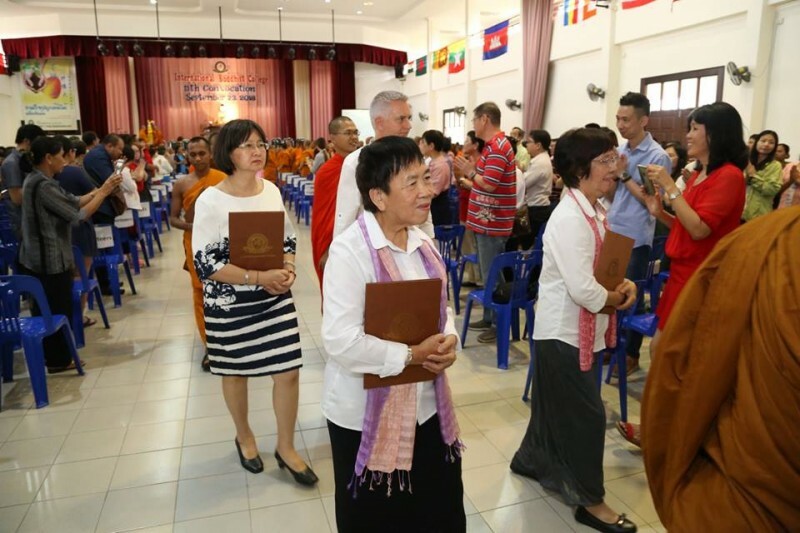 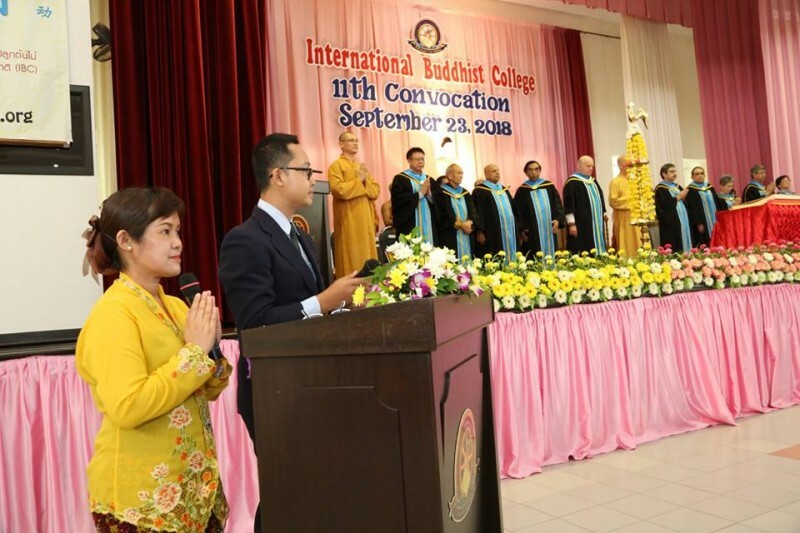 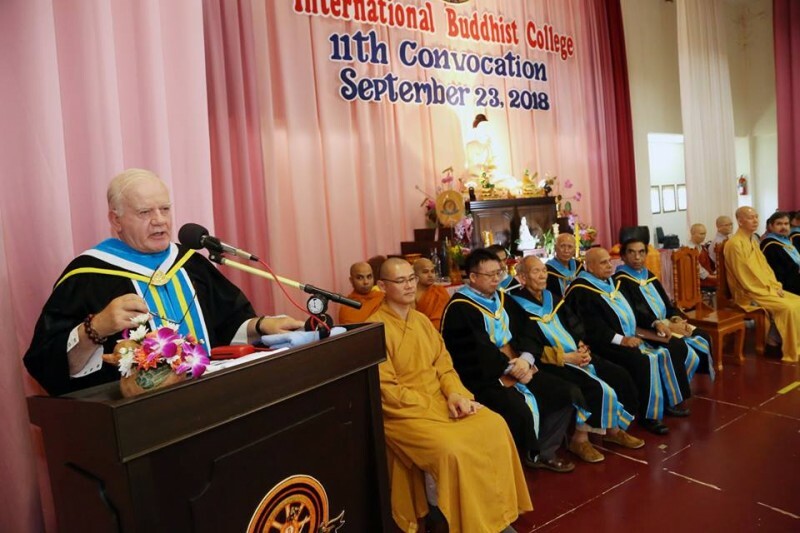 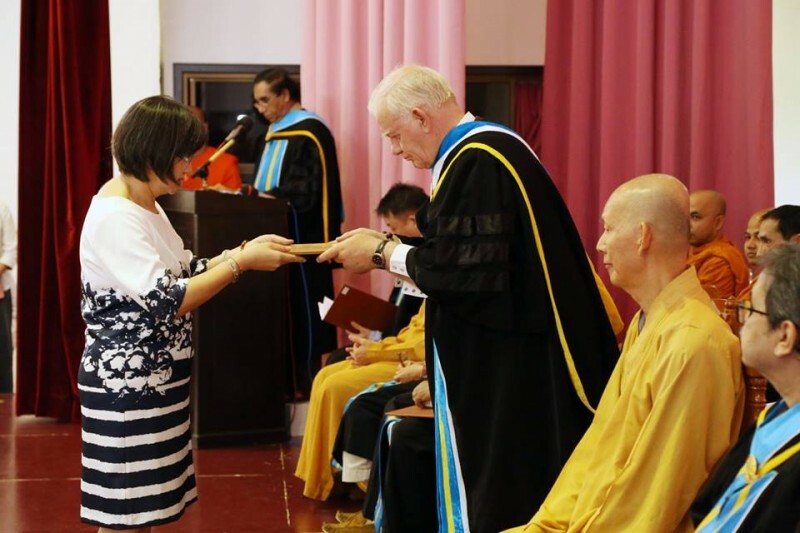 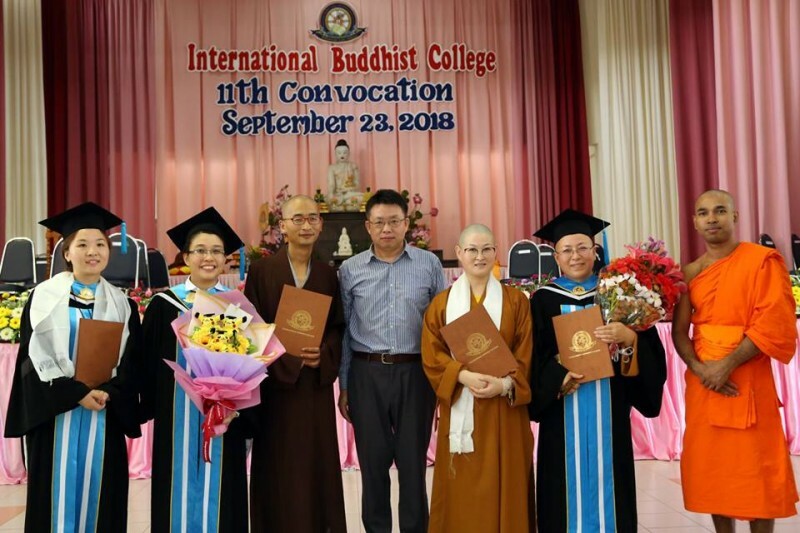 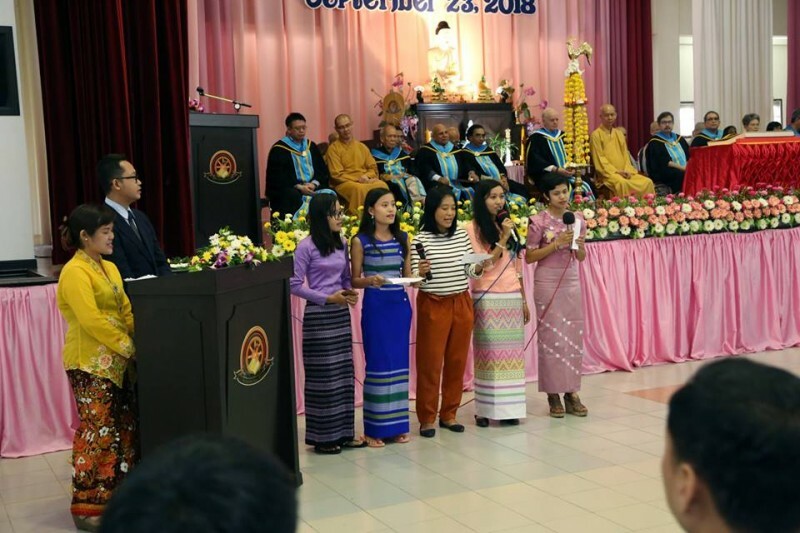 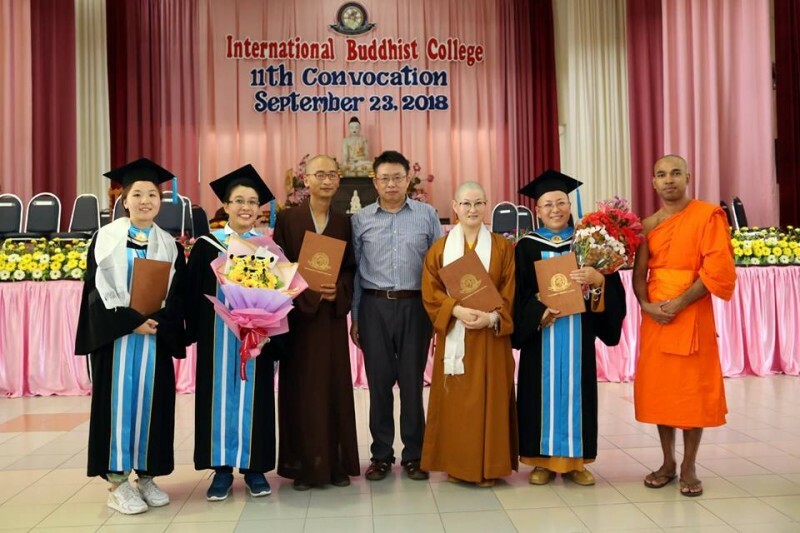 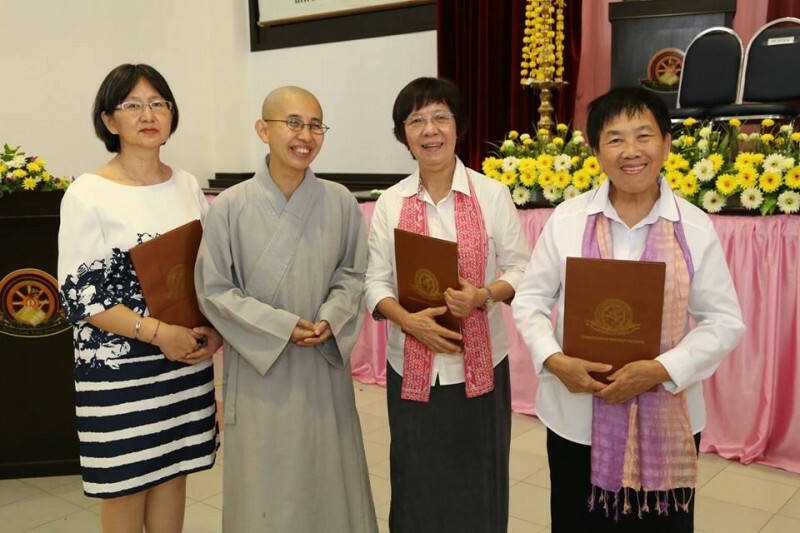 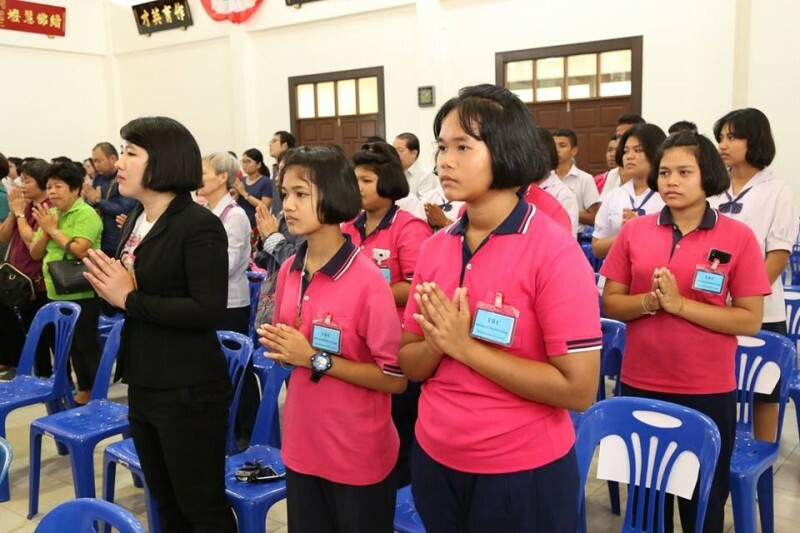 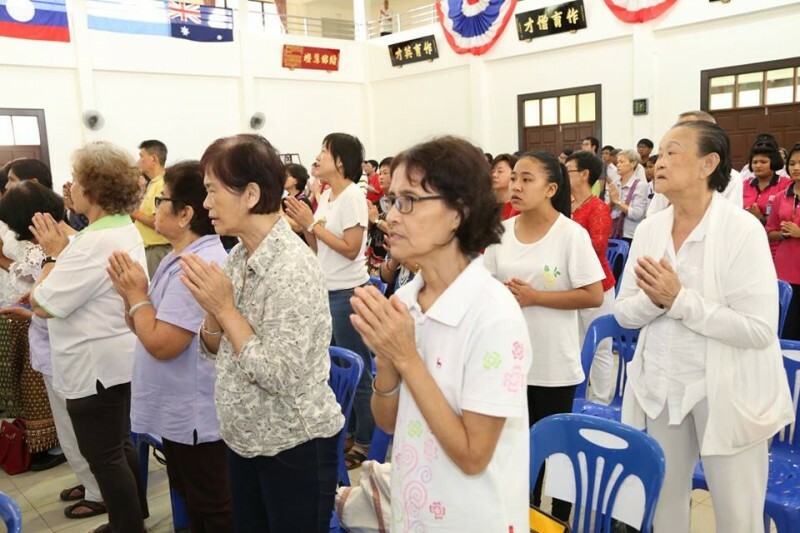 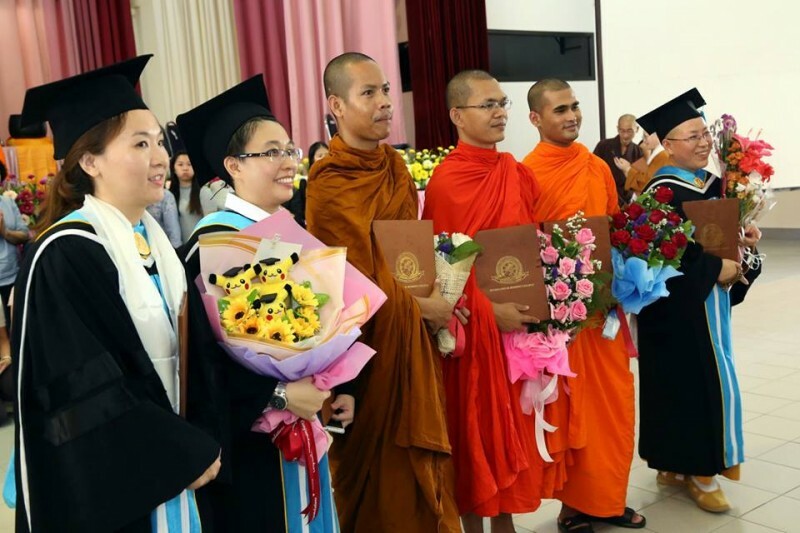 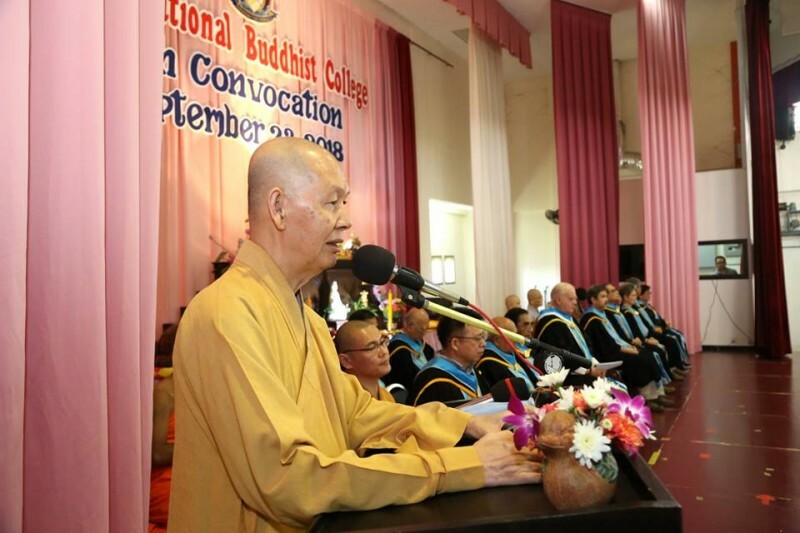 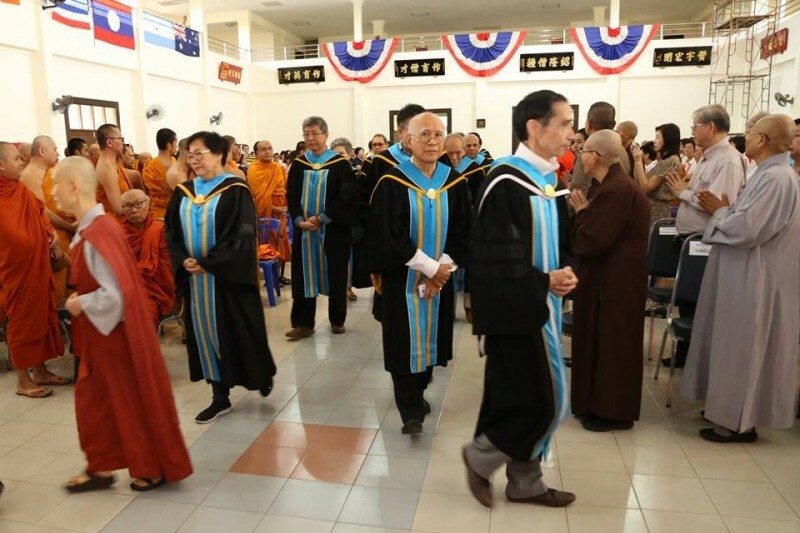 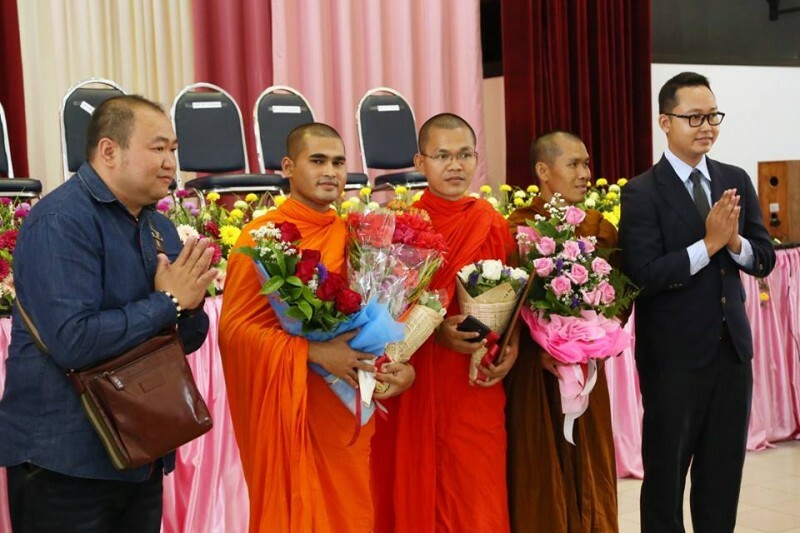 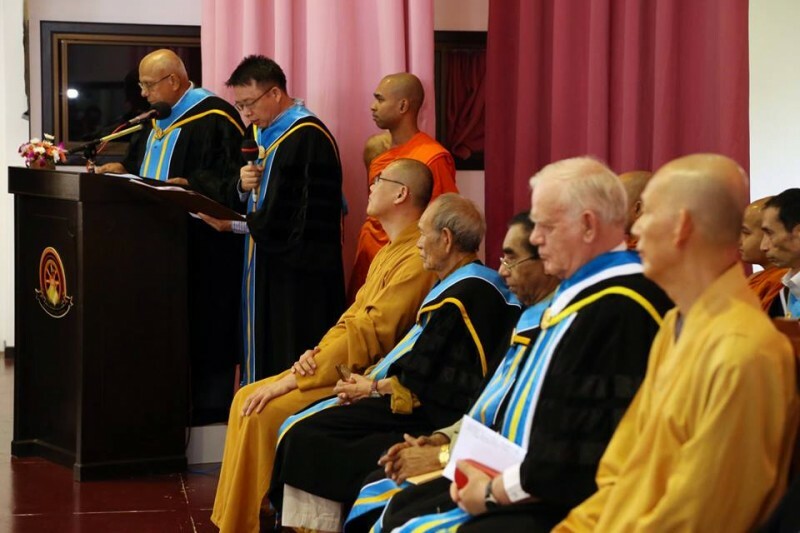 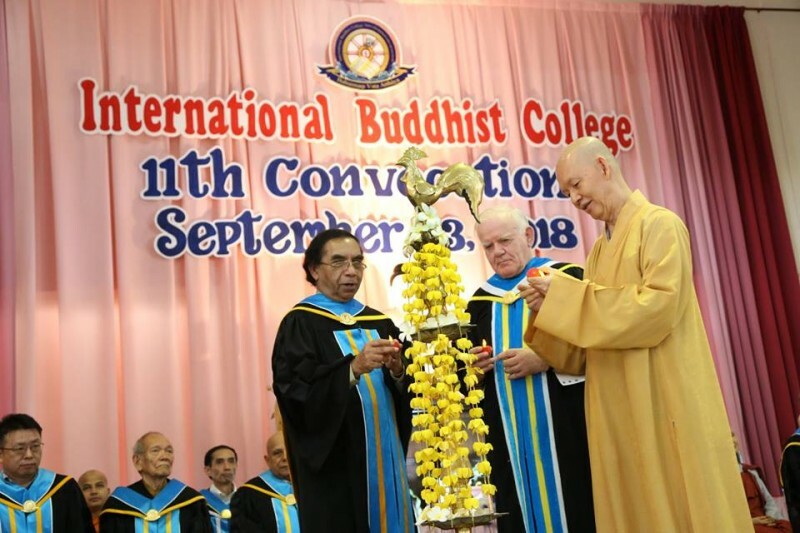 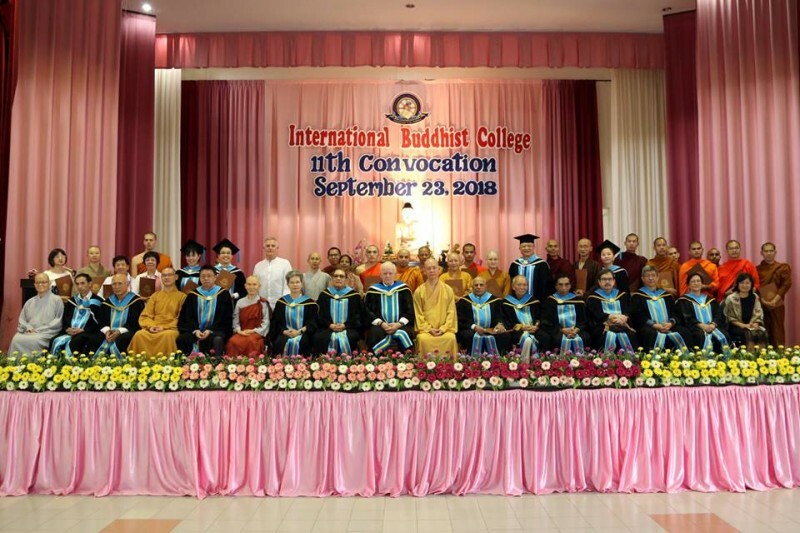 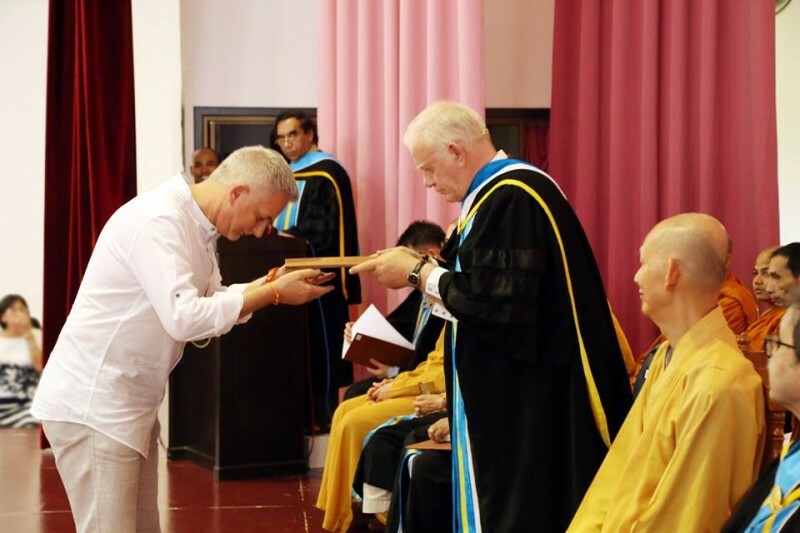 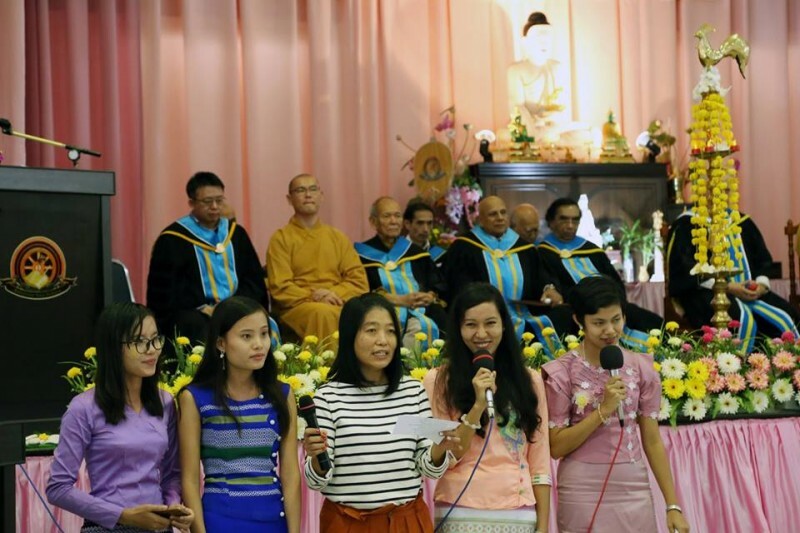 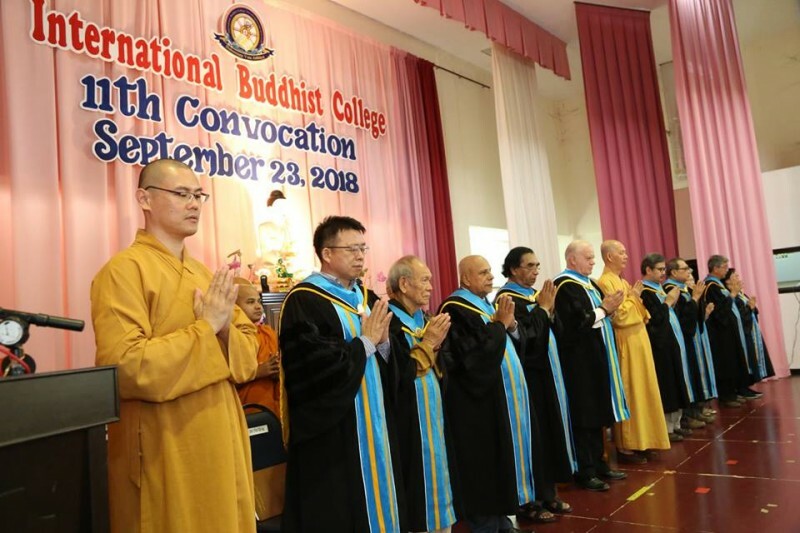 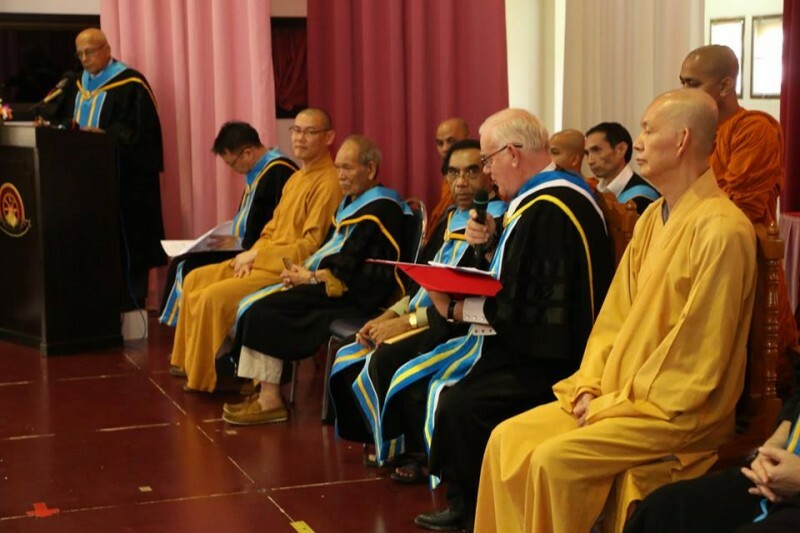 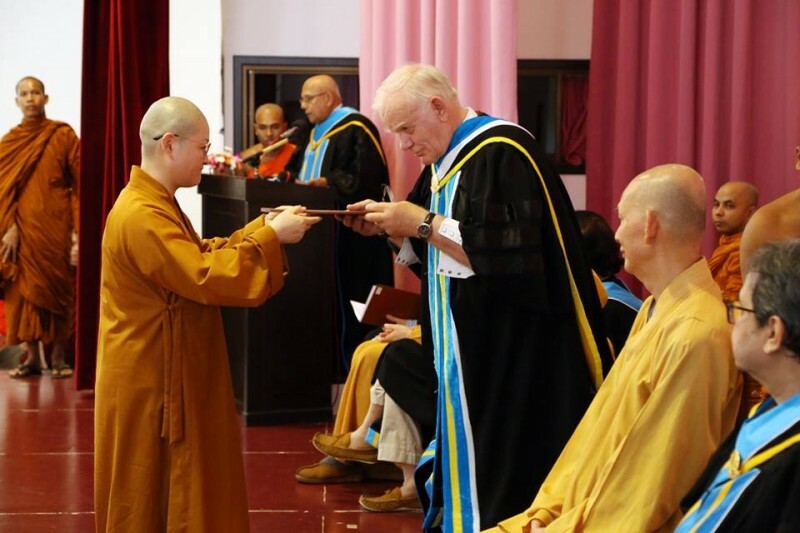 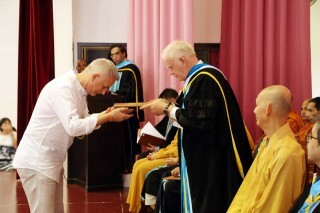 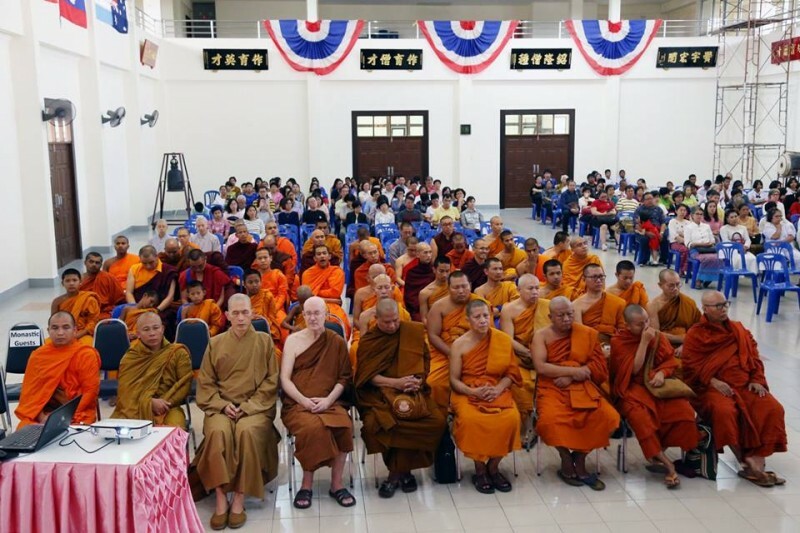 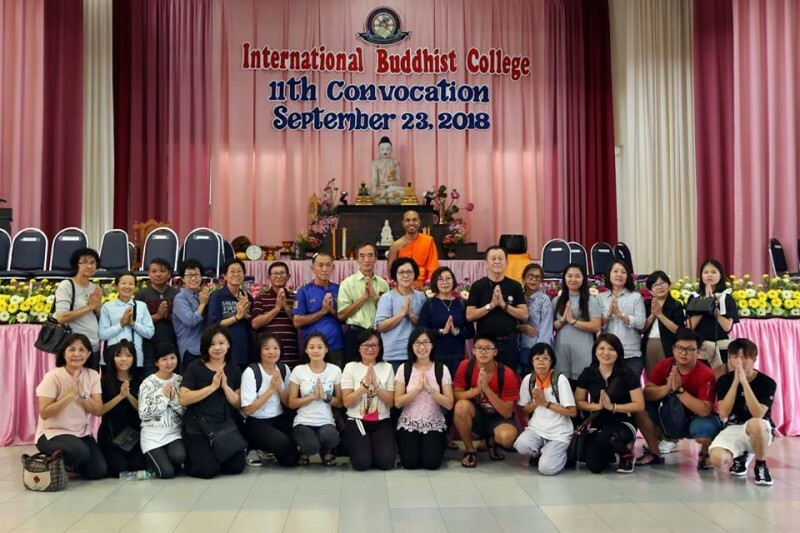 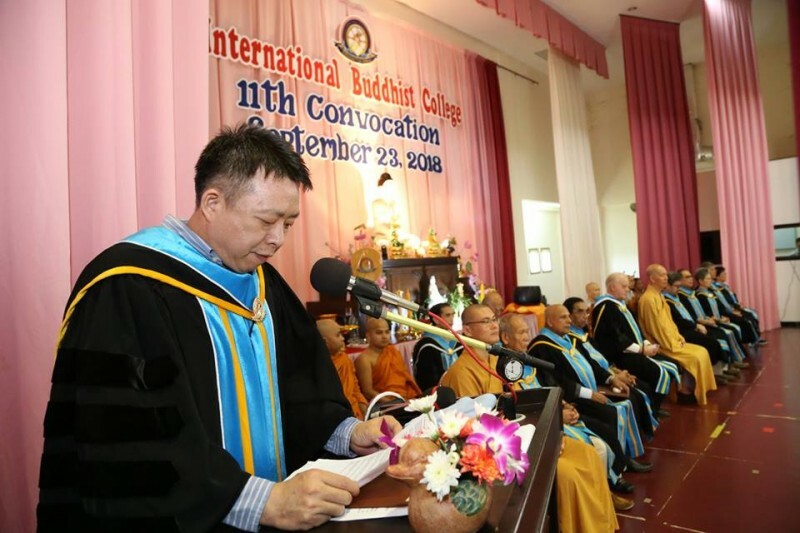 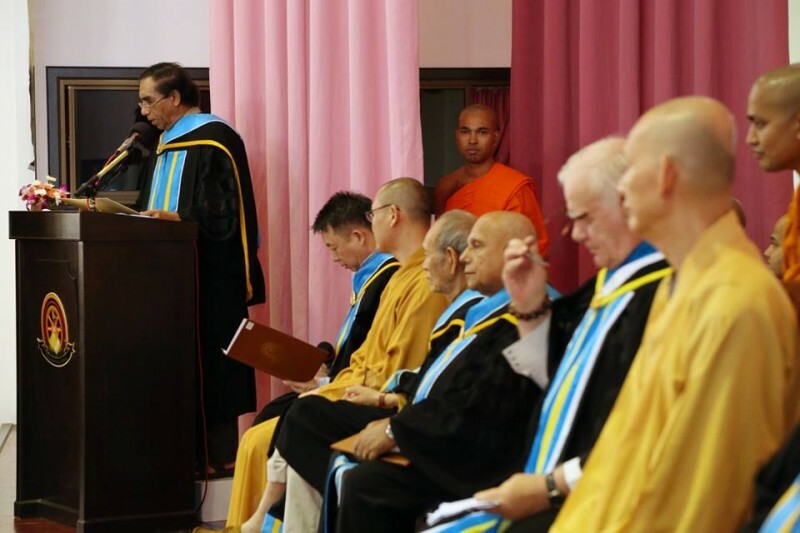 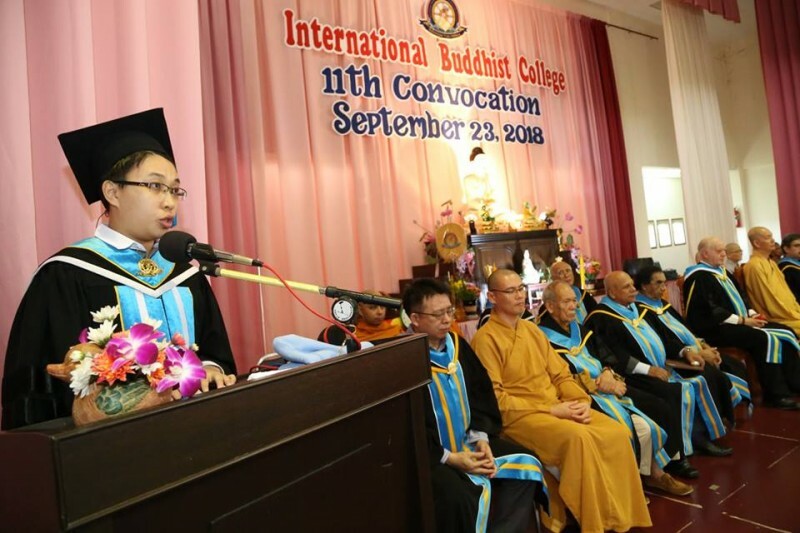 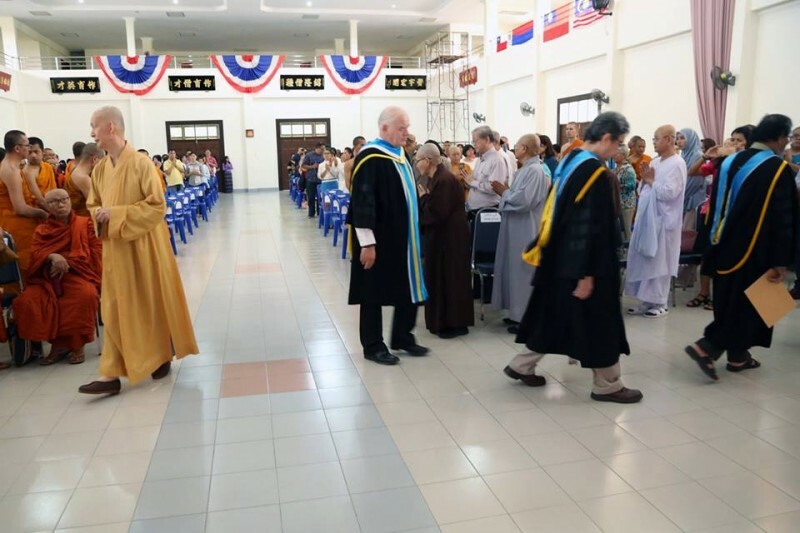 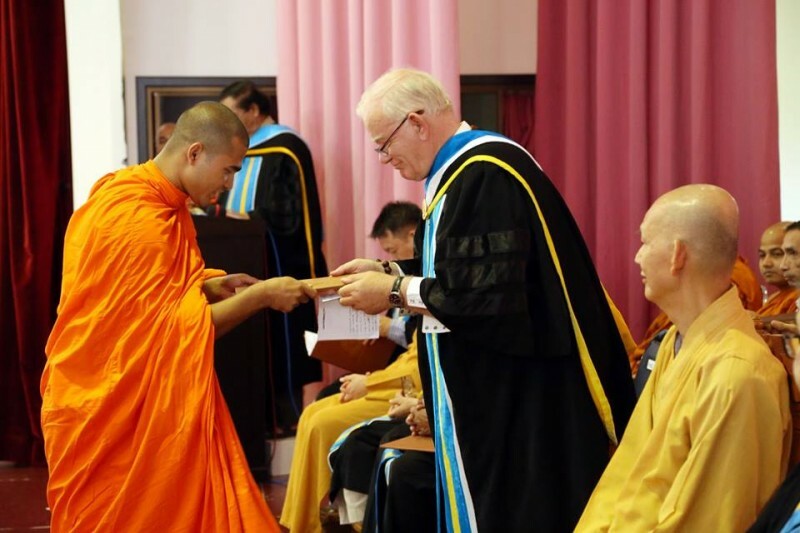 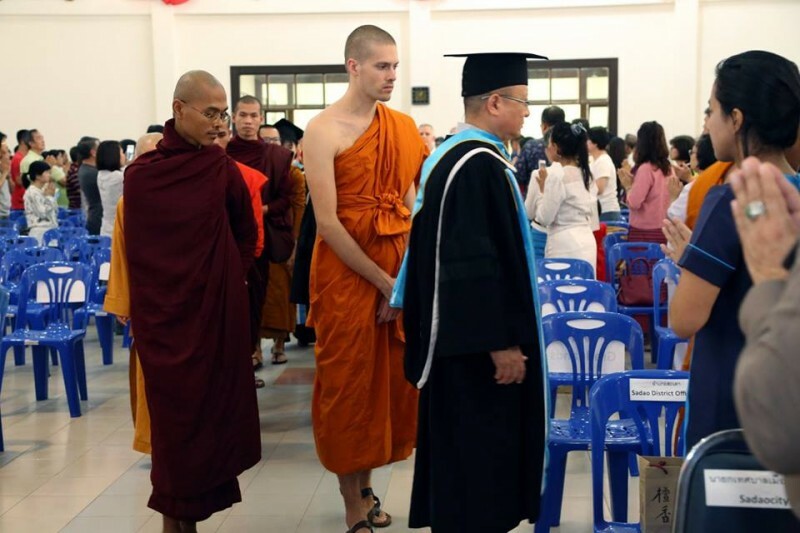 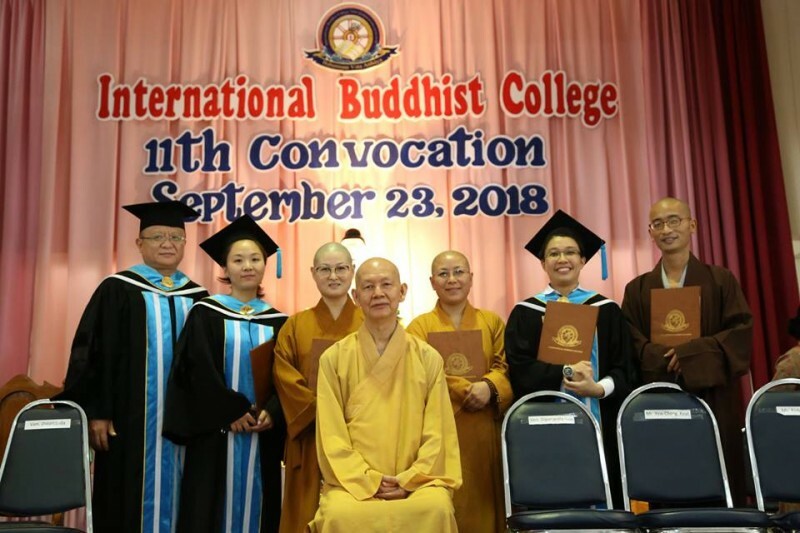 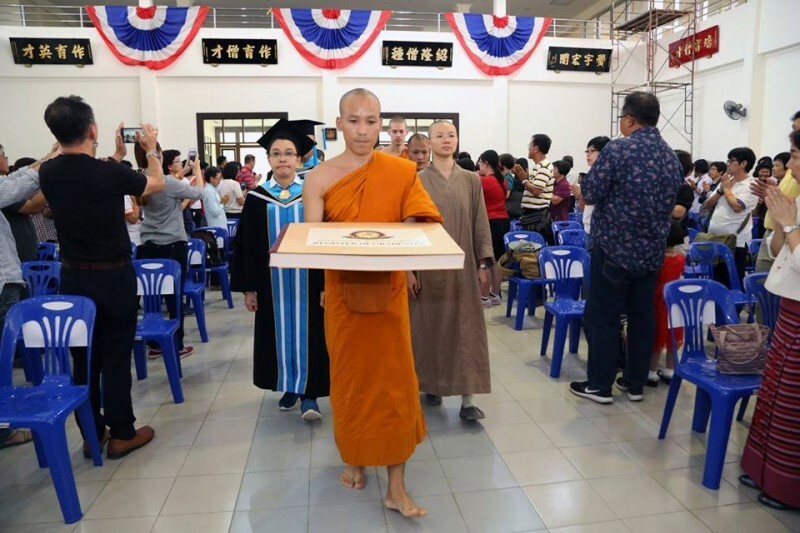 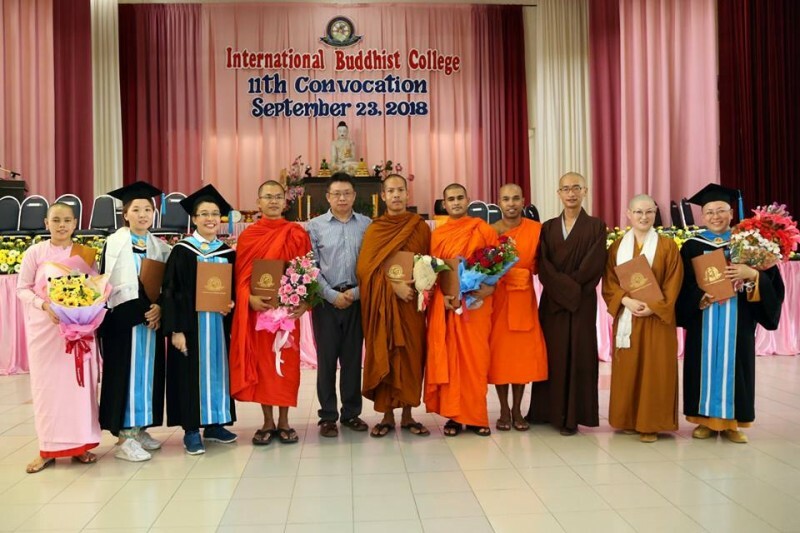 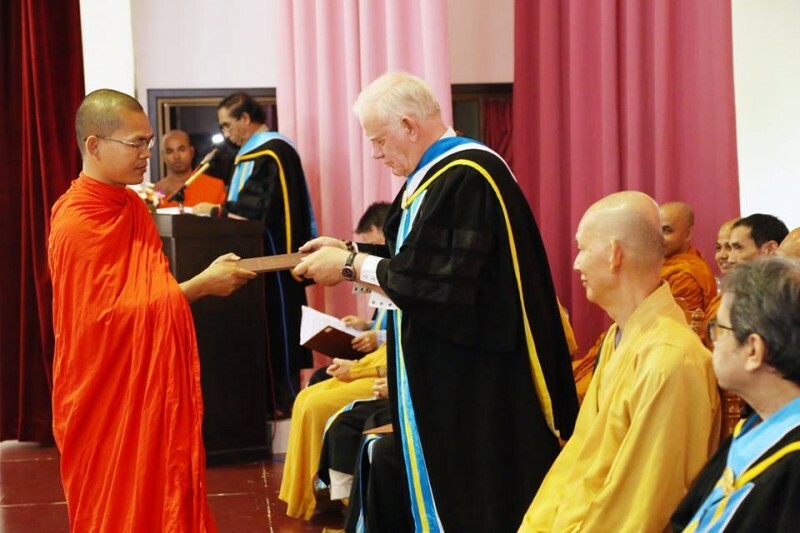 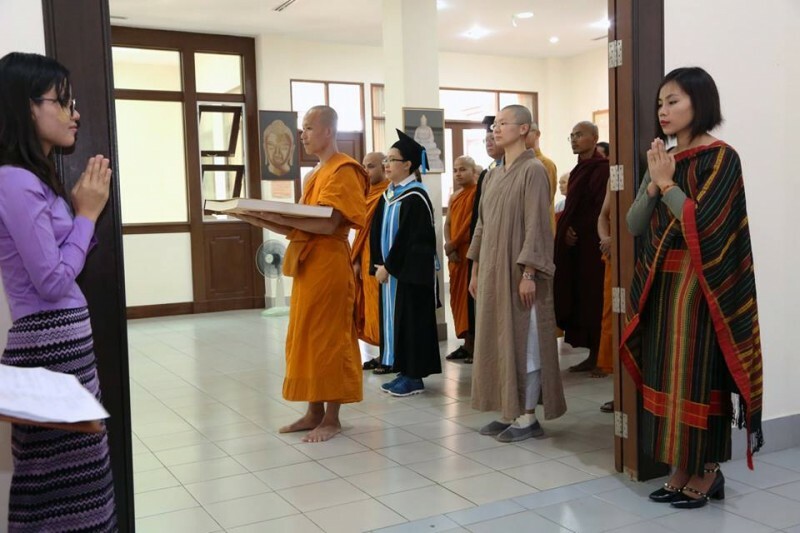 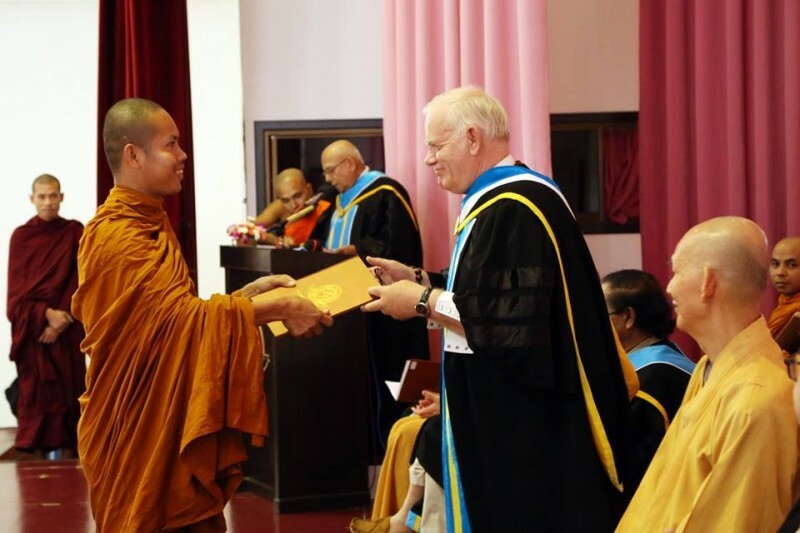 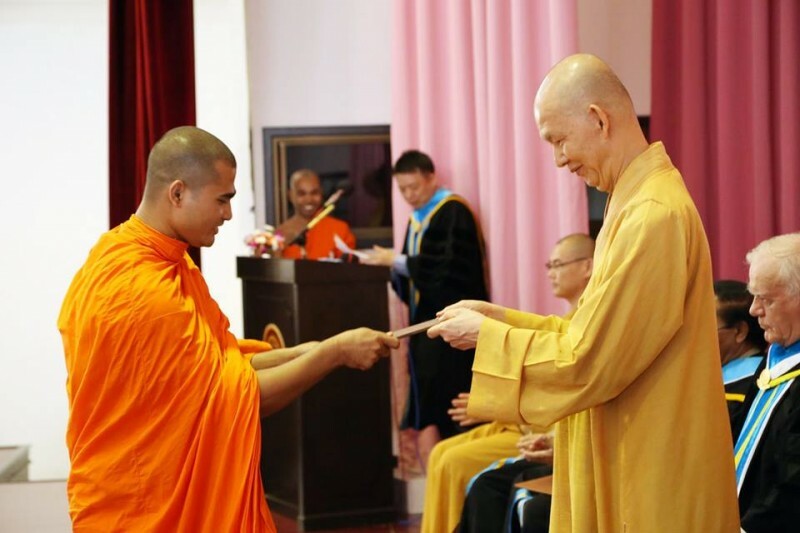 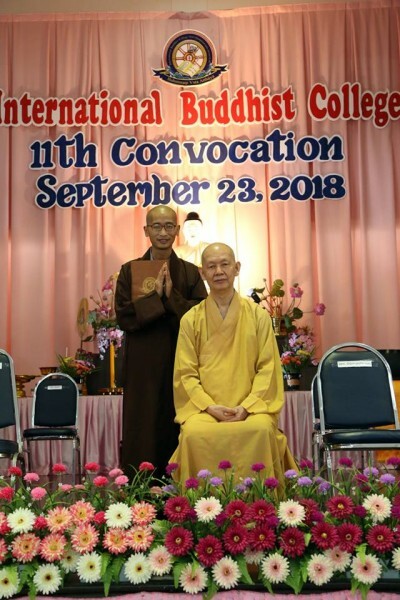 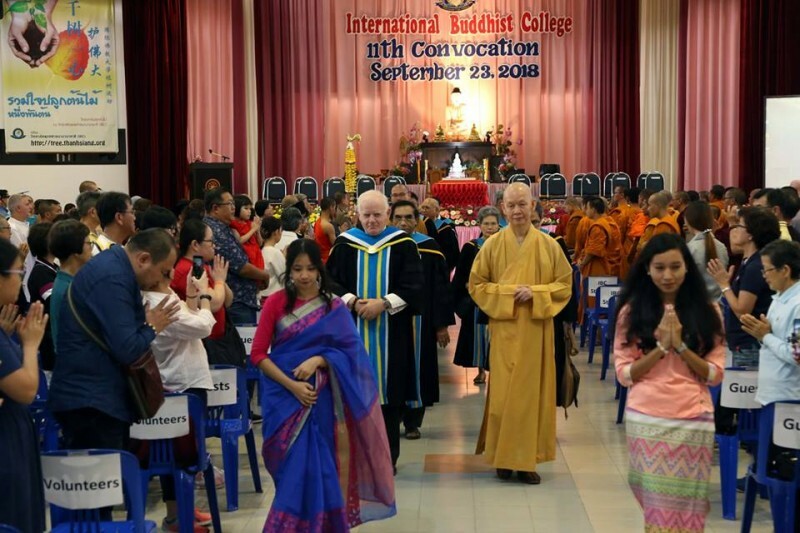 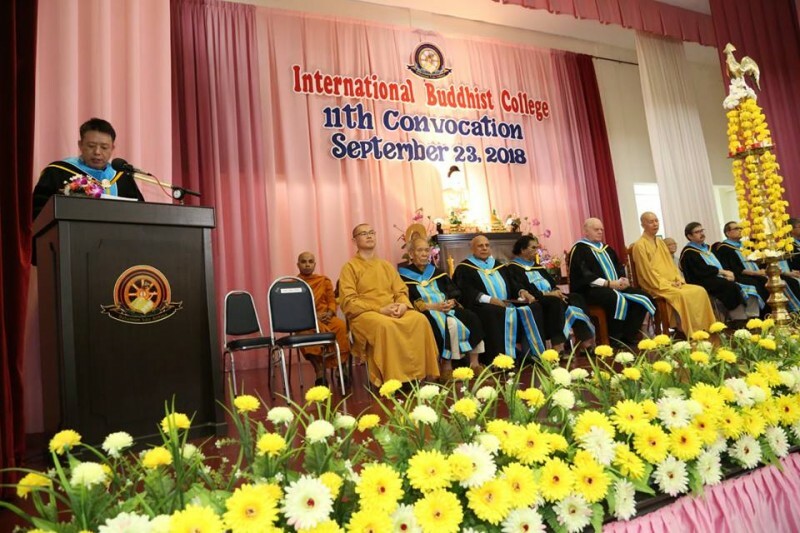 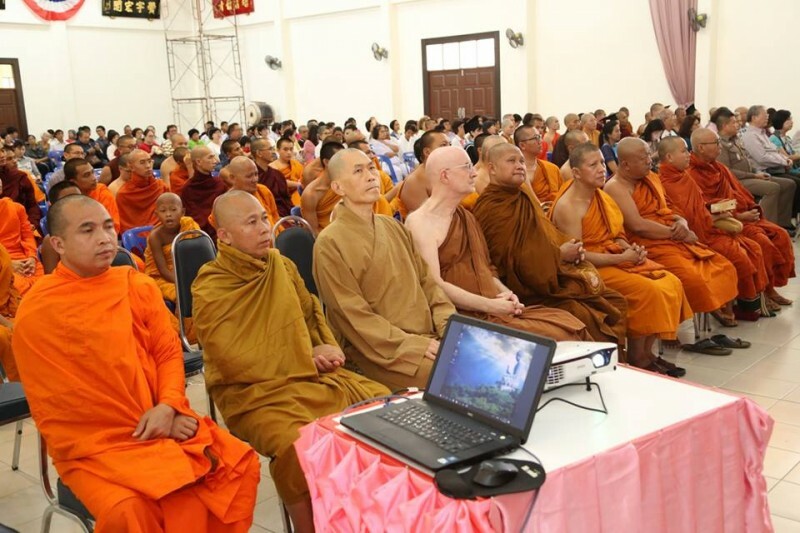 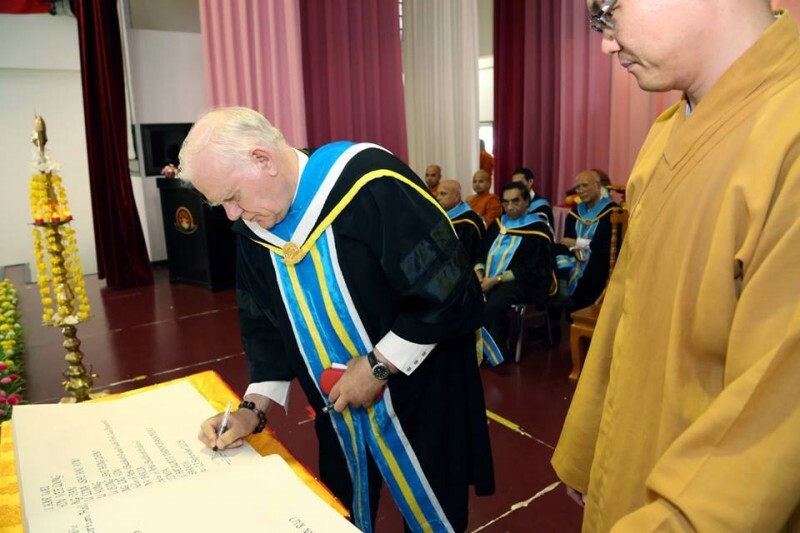 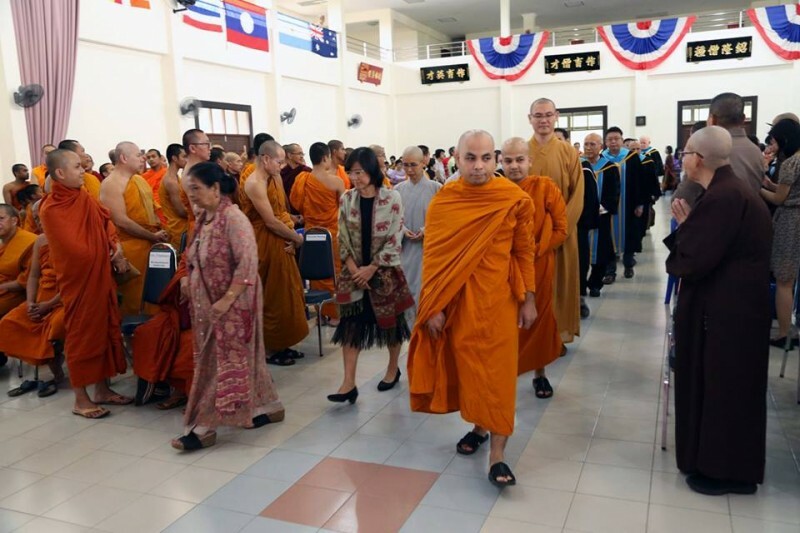 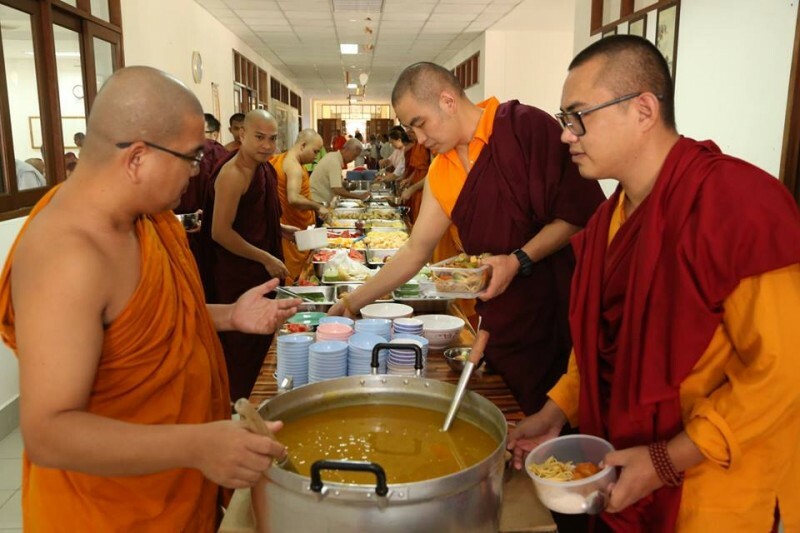 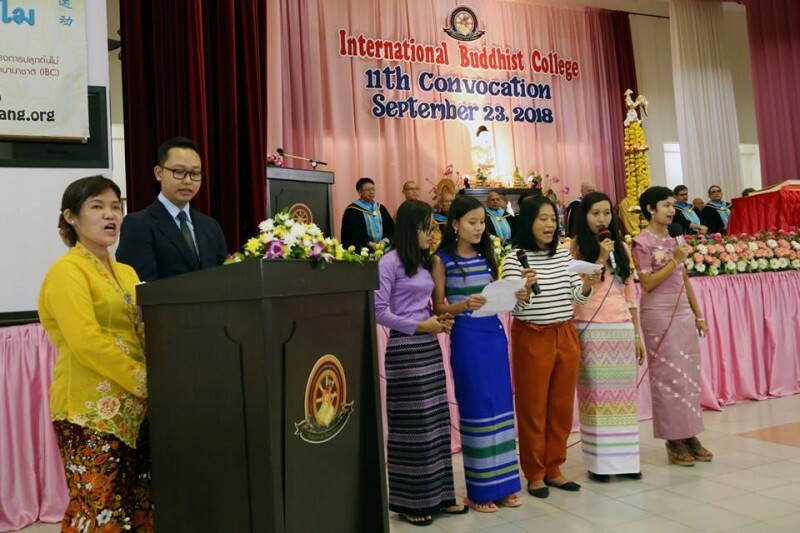 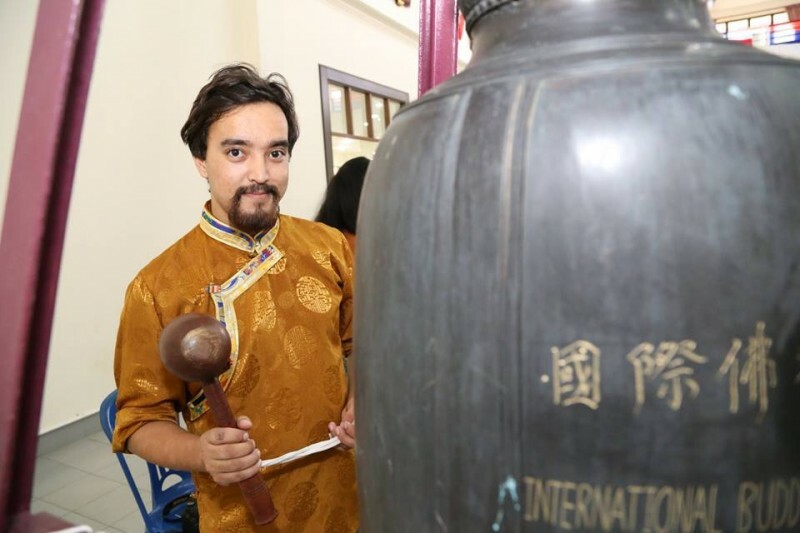 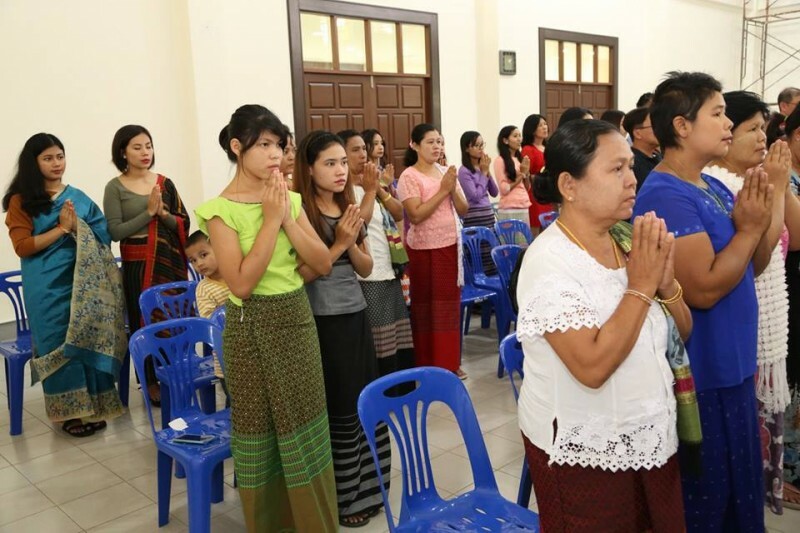 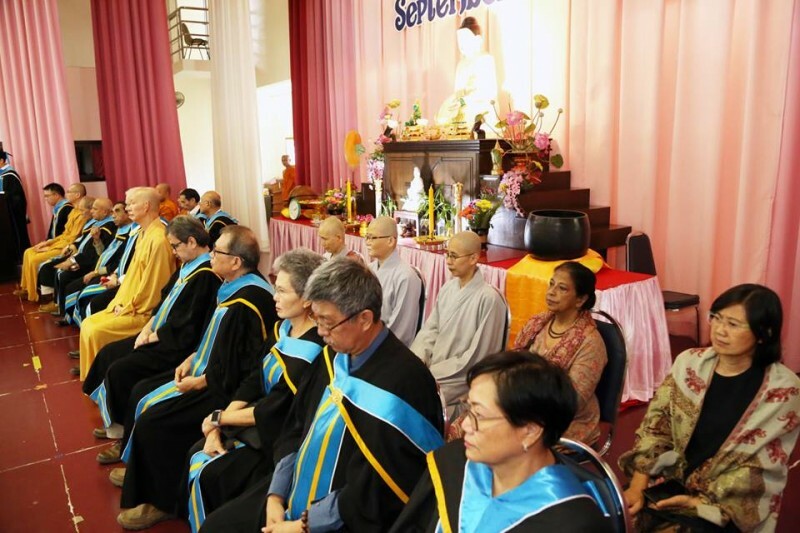 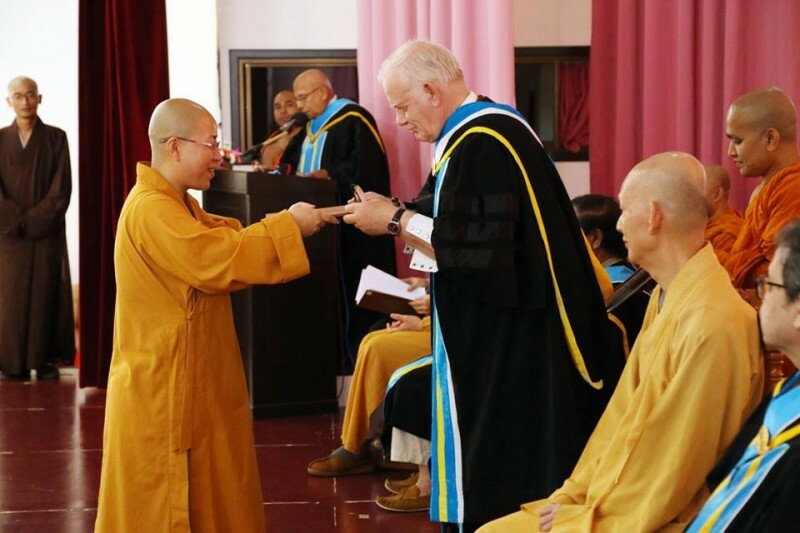 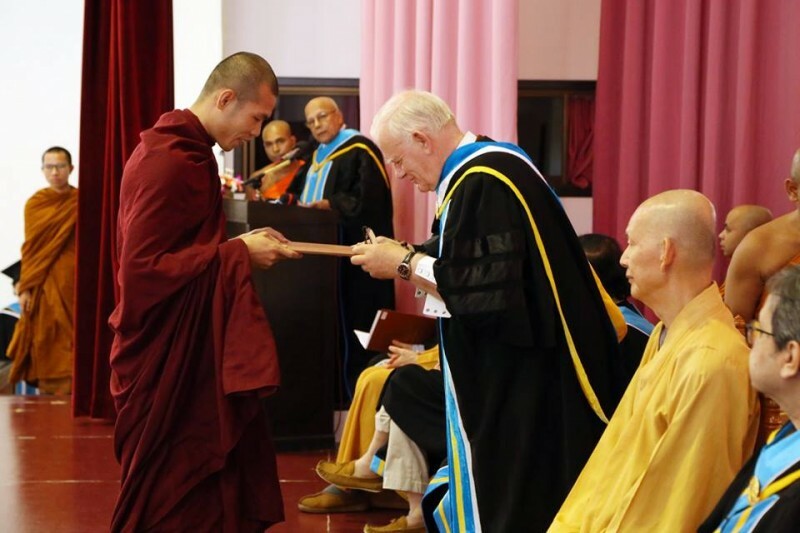 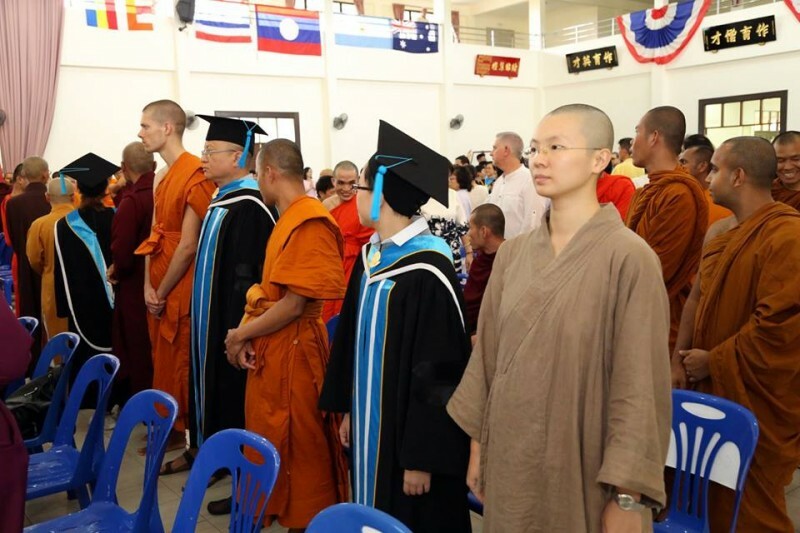 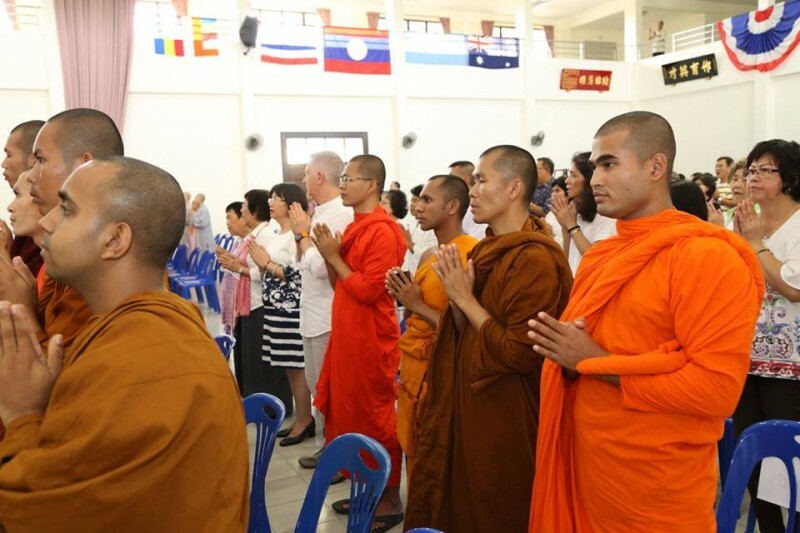 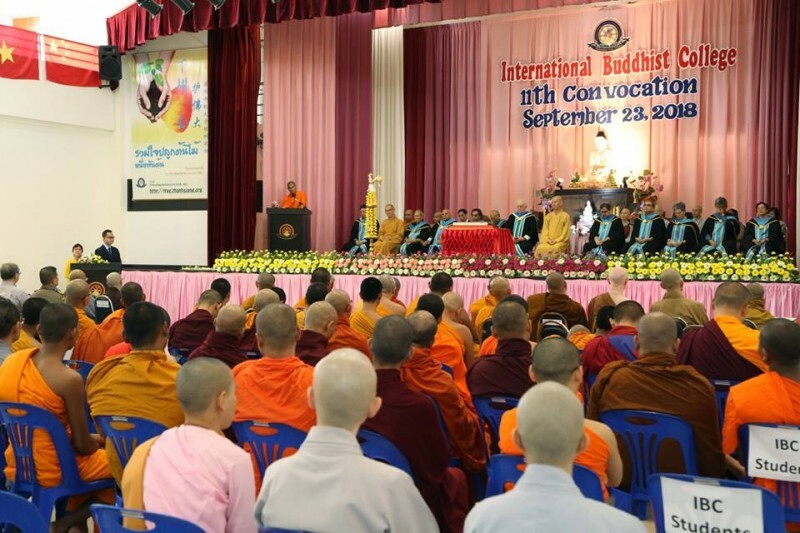 The International Buddhist College (IBC) held its 11th Convocation on 23 September 2018. 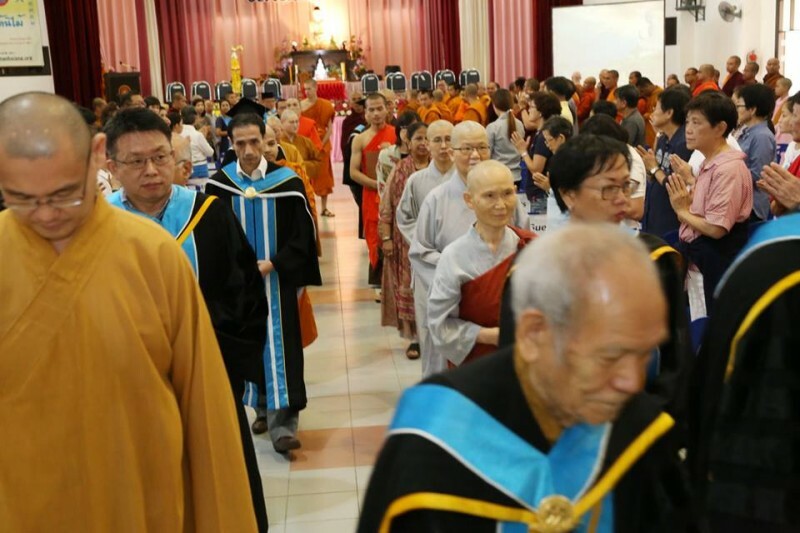 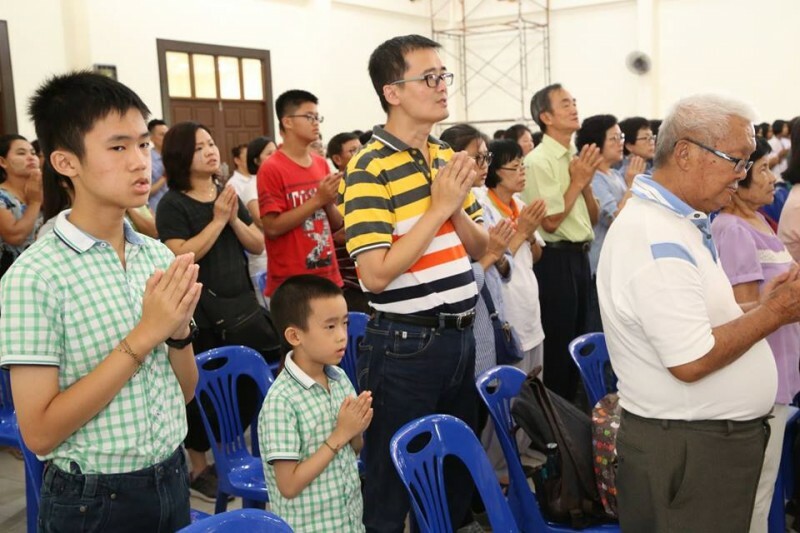 The ceremony started with the Triple Gem Eulogy followed by the offering of light to the Triple Gem. 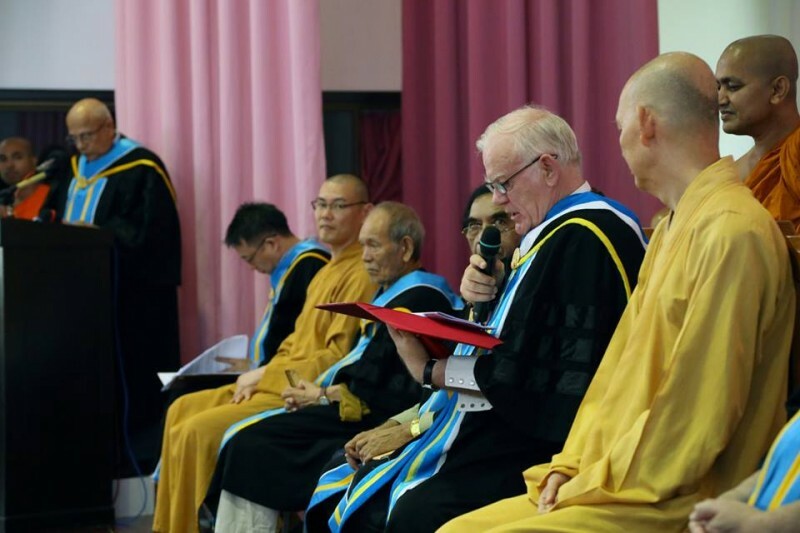 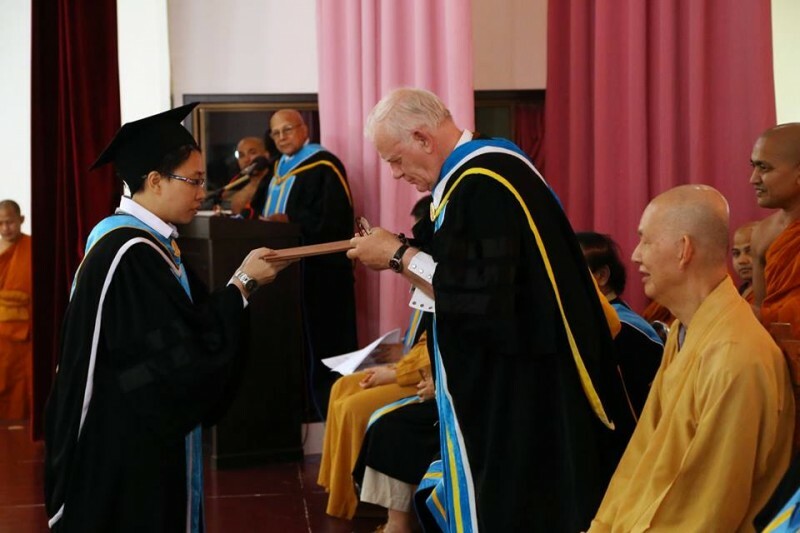 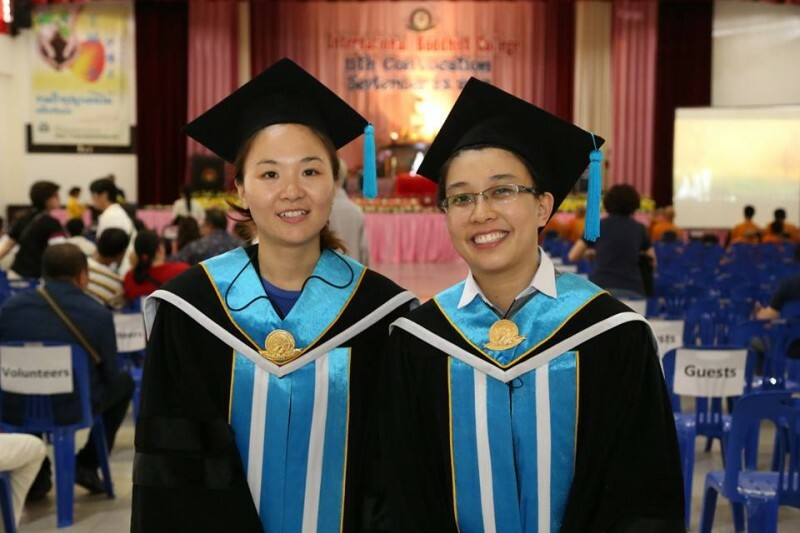 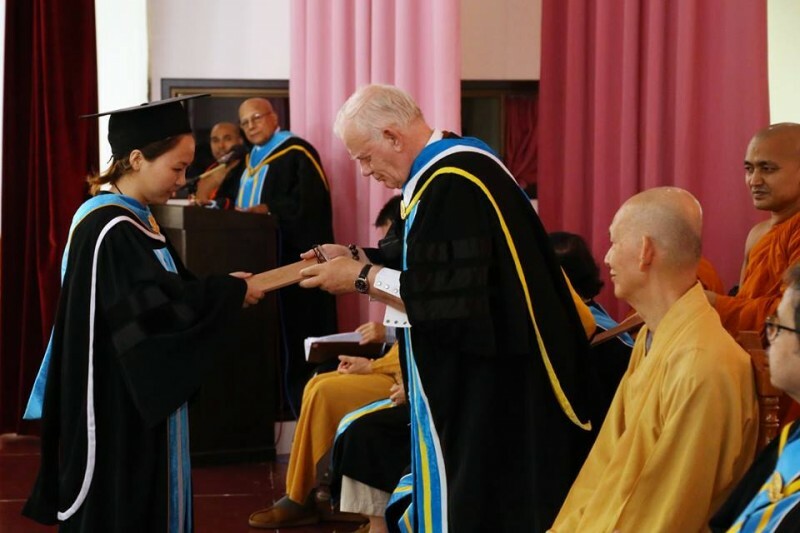 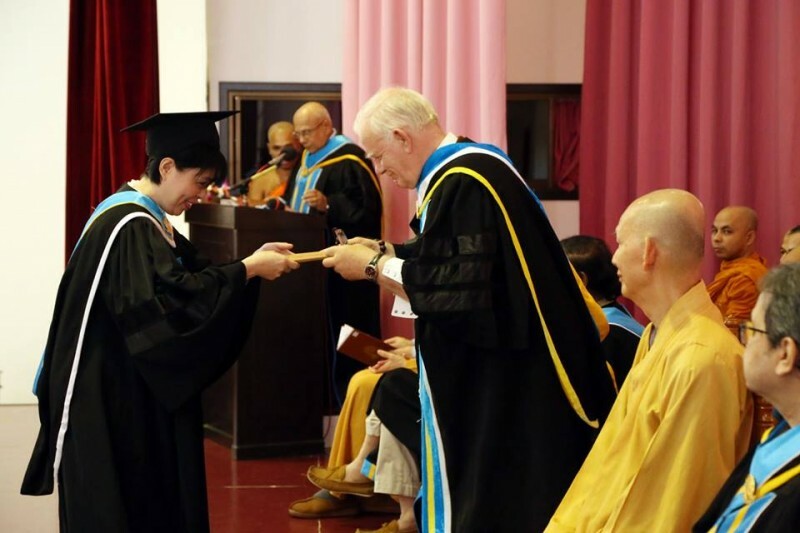 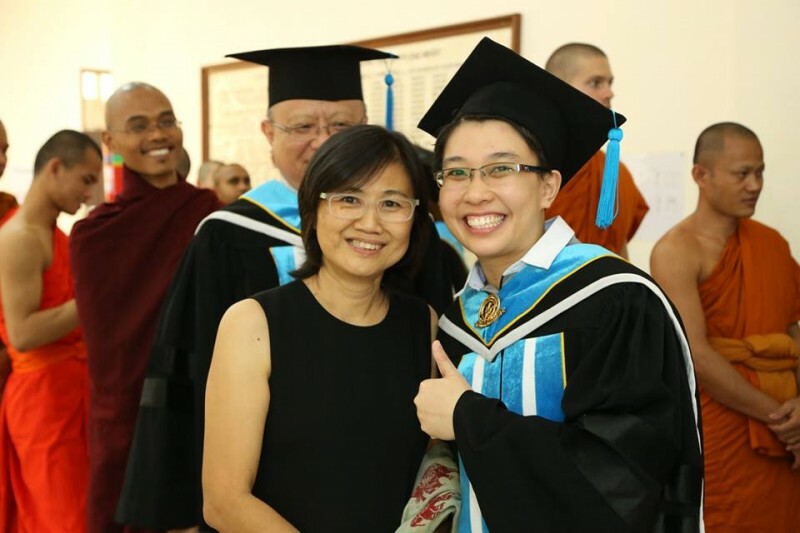 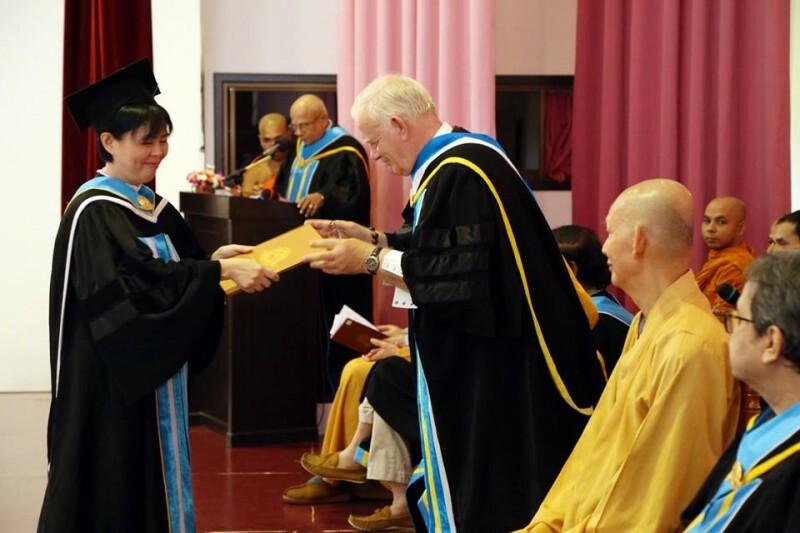 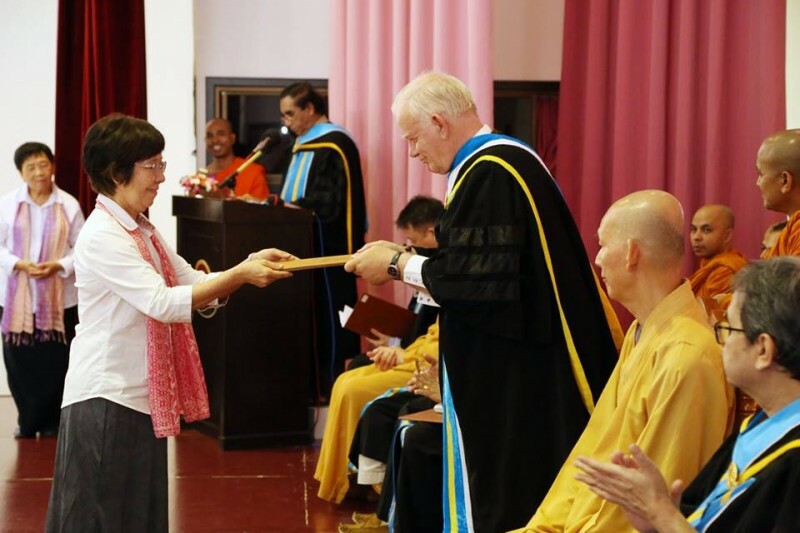 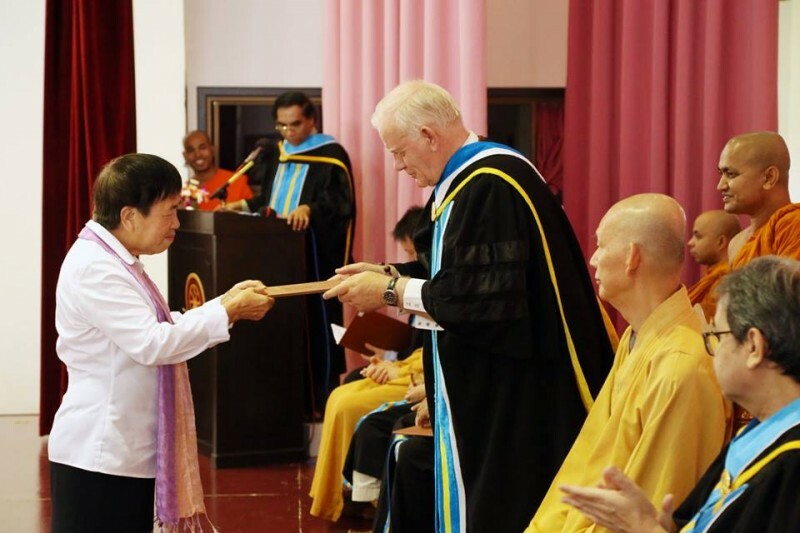 Conferment of degrees and certificates to graduands took place after the Council Chairman, the Most Venerable Dr Wei Wu and the Rector, Professor Dr Charles Willemen delivered their speeches. 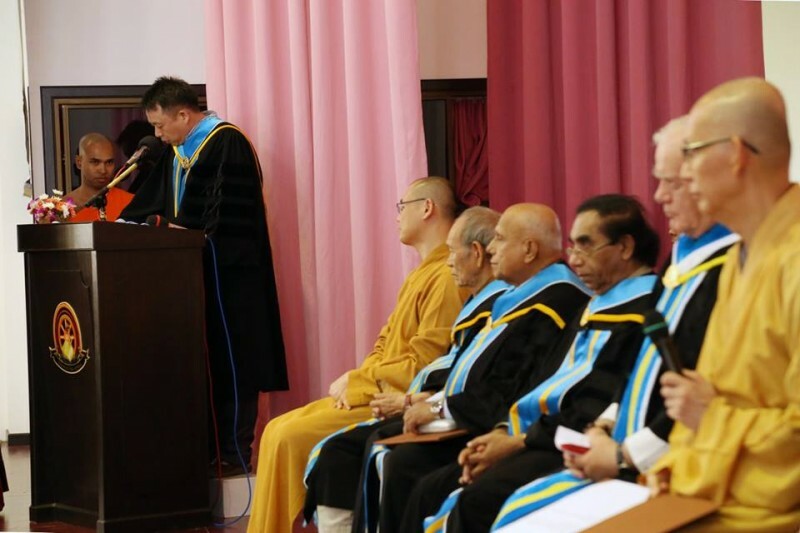 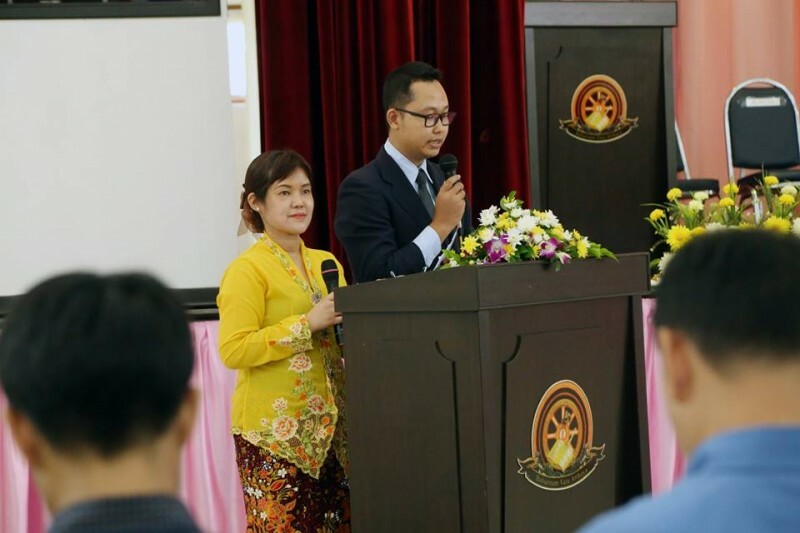 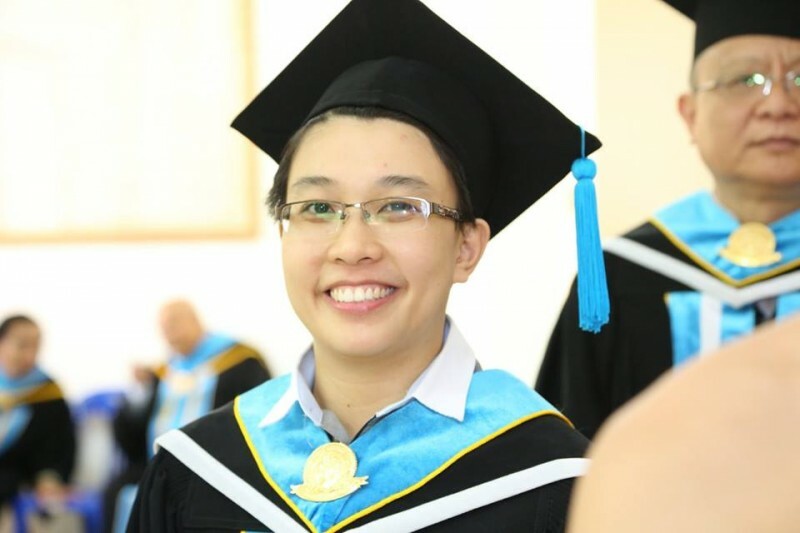 Dr Fa Qing, Director of Information Technology and Library addressed the graduates with words of encouragement on behalf of the faculty. 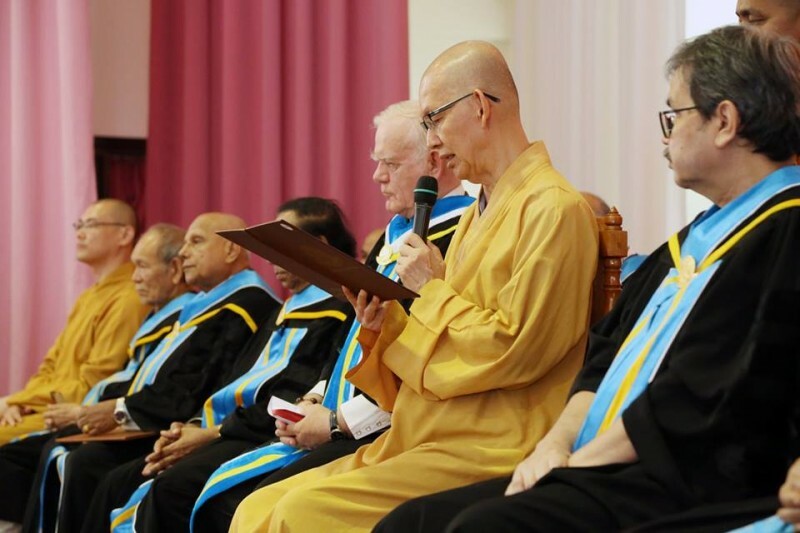 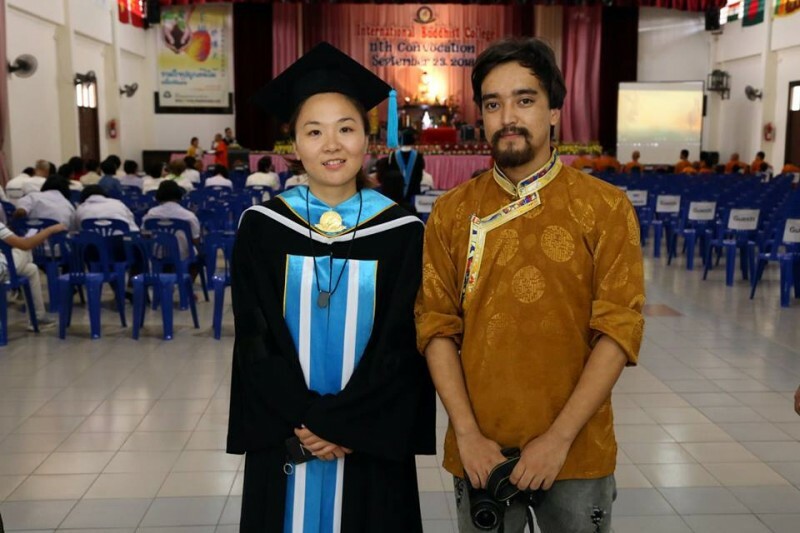 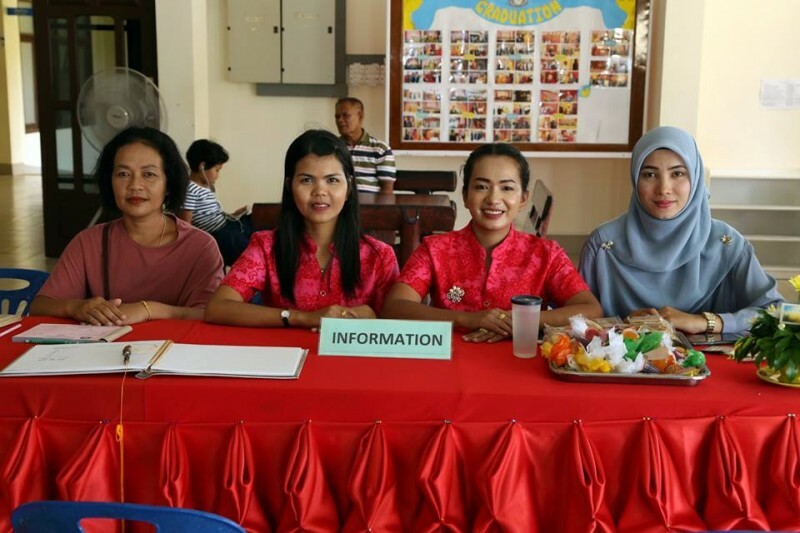 Speeches of appreciation were delivered by Venerable Rony Barua and Miss Au Kar Wei on behalf of BA graduates and MA graduates respectively. 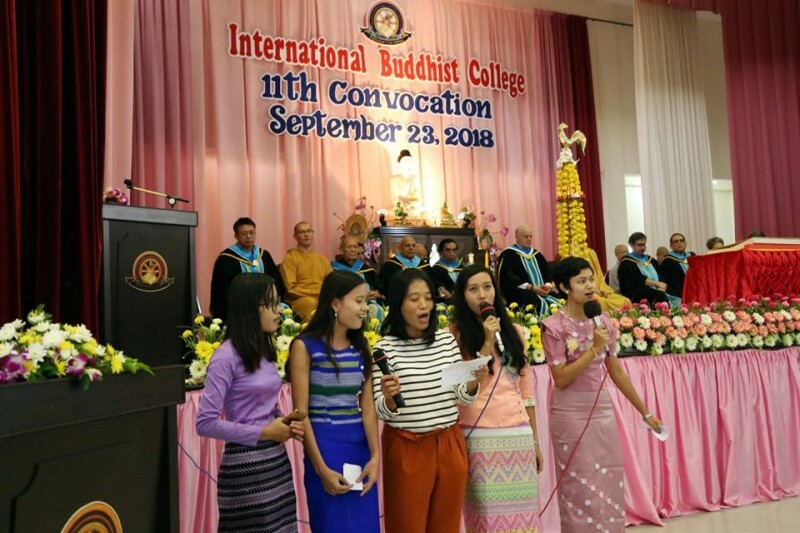 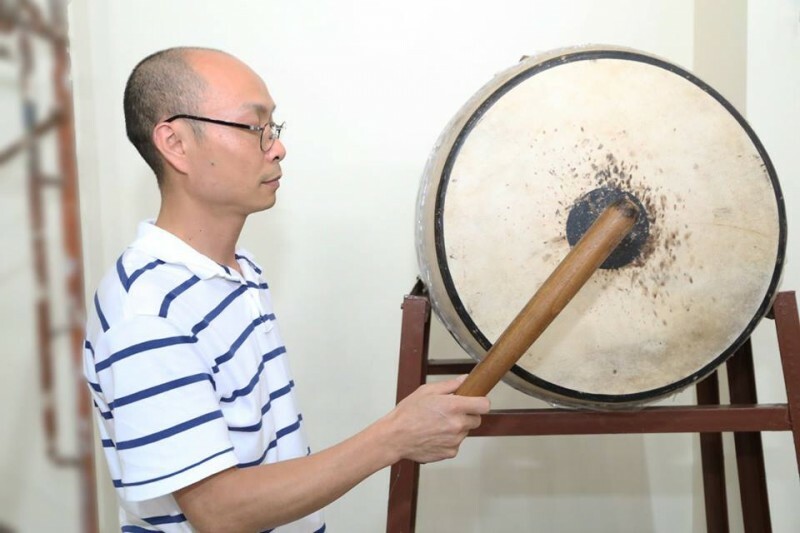 The ceremony was brought to a climax by the pleasant rendering of the IBC Theme Song “For the Good of the Many” after which the 11th Convocation of IBC reached the finale with photo sessions in a jubilant and joyous atmosphere followed by the adjournment to high tea.